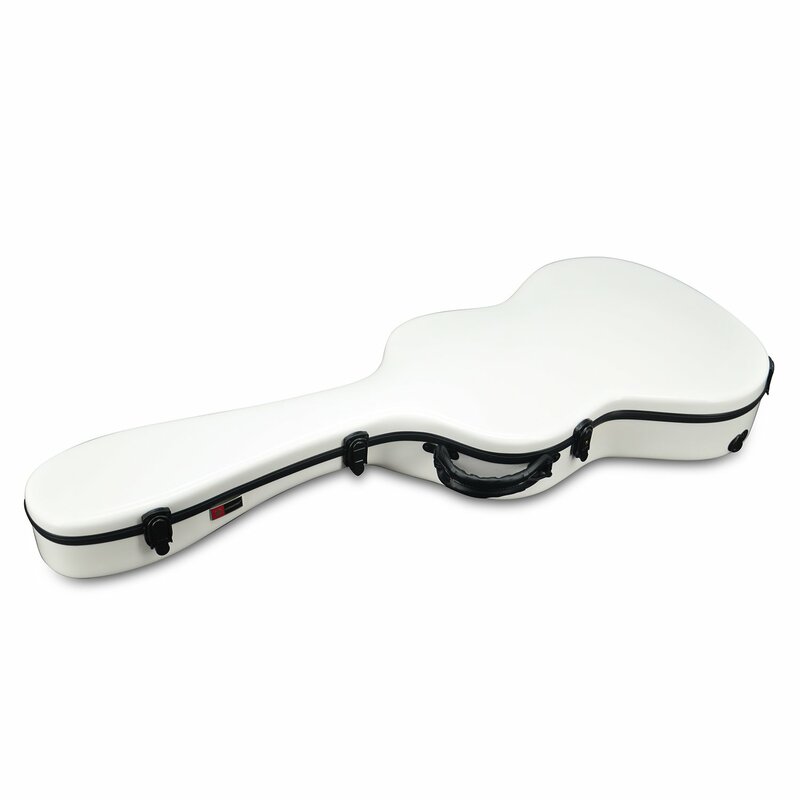 100-percent purity fiberglass arch-top exterior. 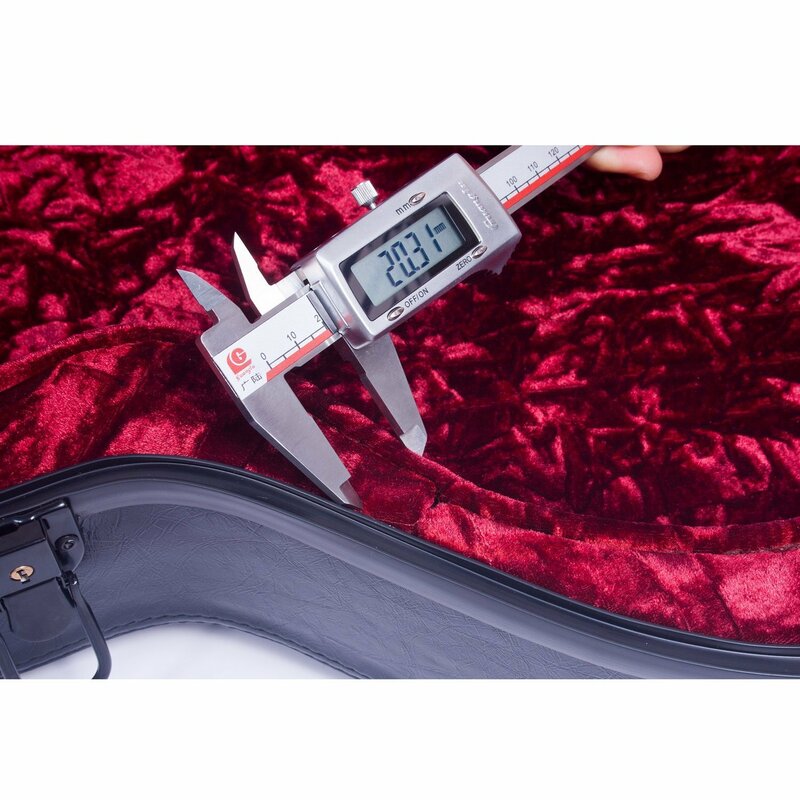 Can hold 400lb pressure. 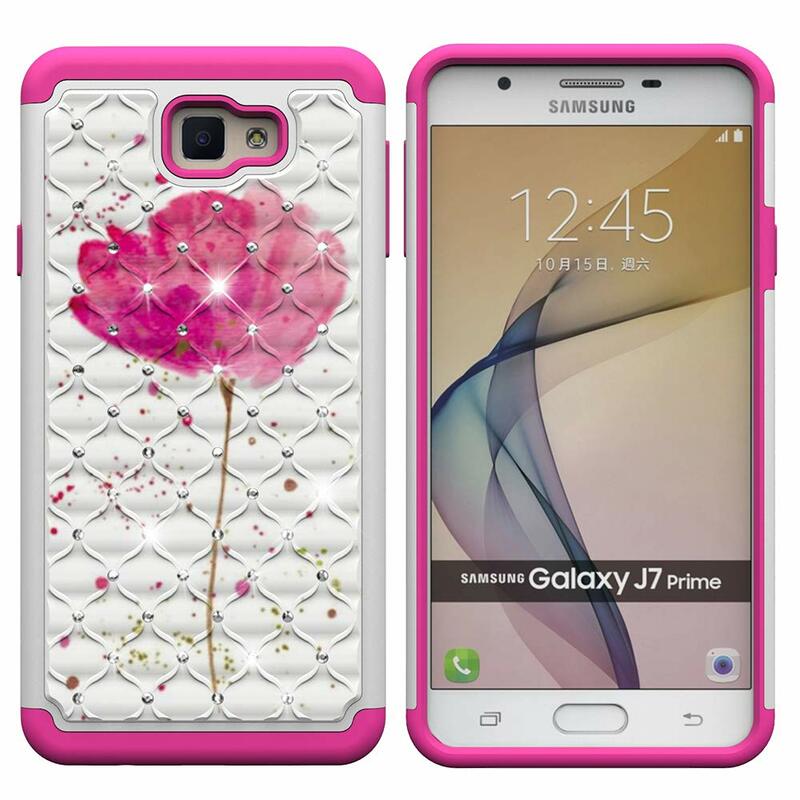 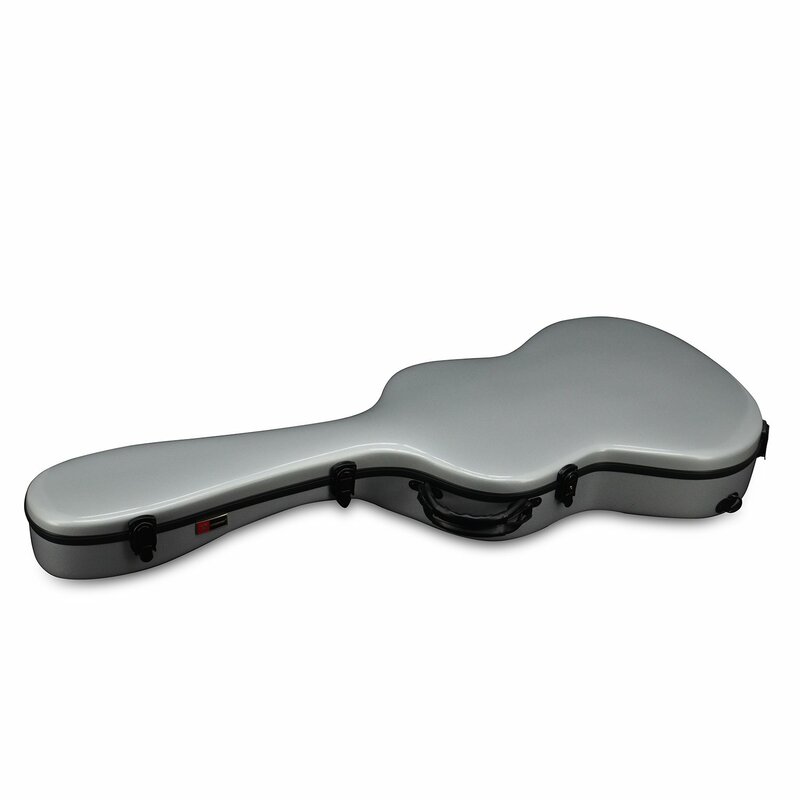 6 latches and thick rubber strip seal ensures the super security and waterproofness of the case. 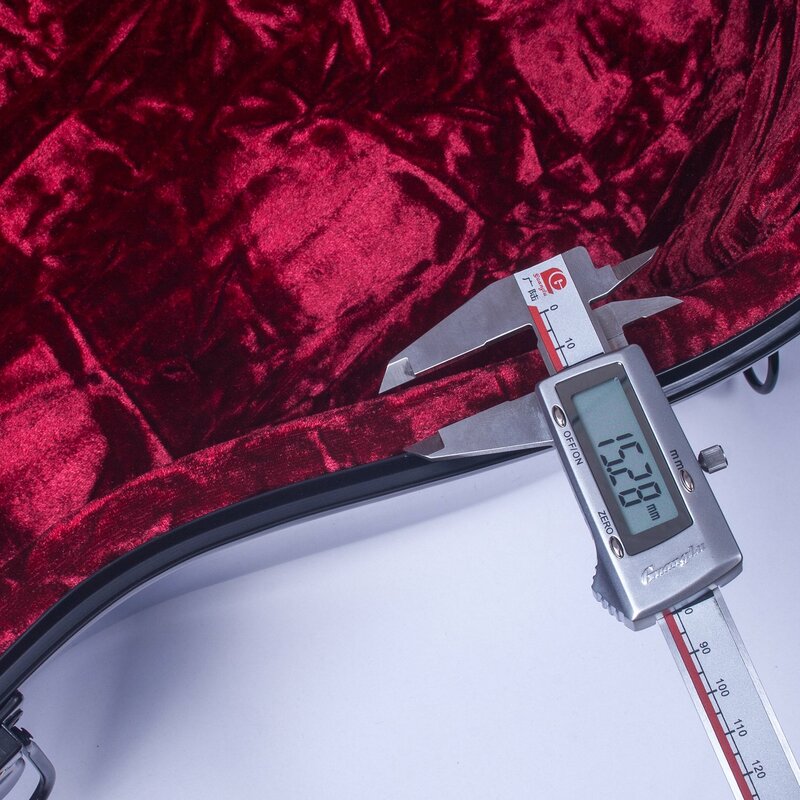 Thick padded (0.8" at least) inside with velvet lining. 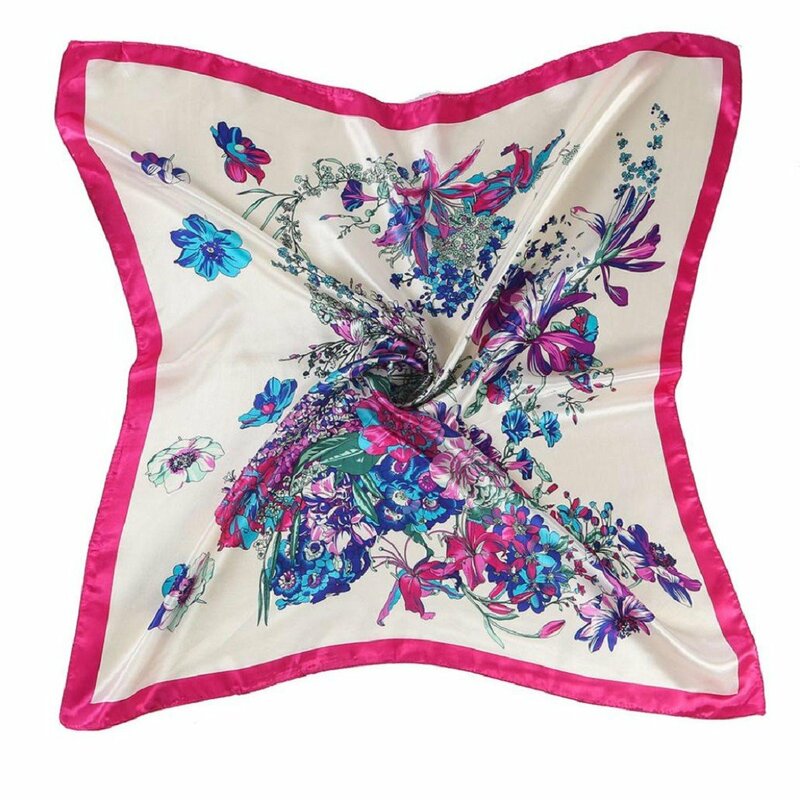 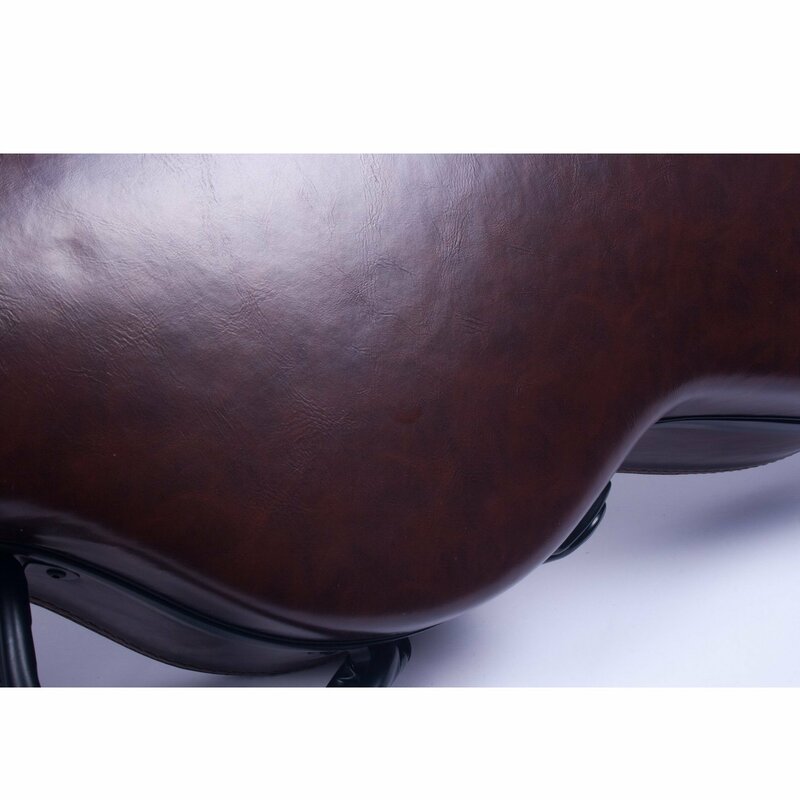 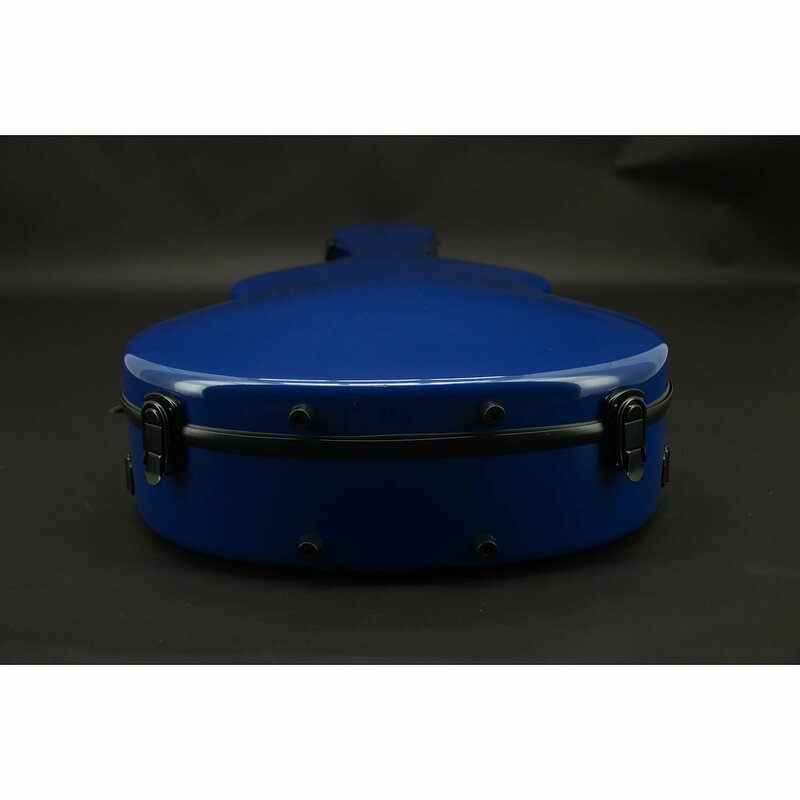 An addidtional bottom pad for inside customizing. 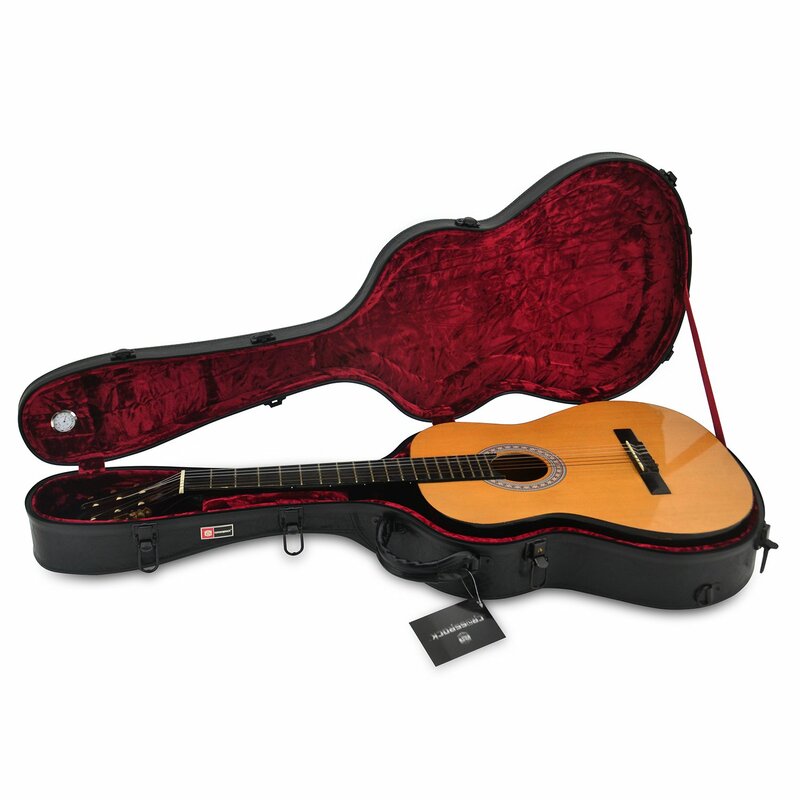 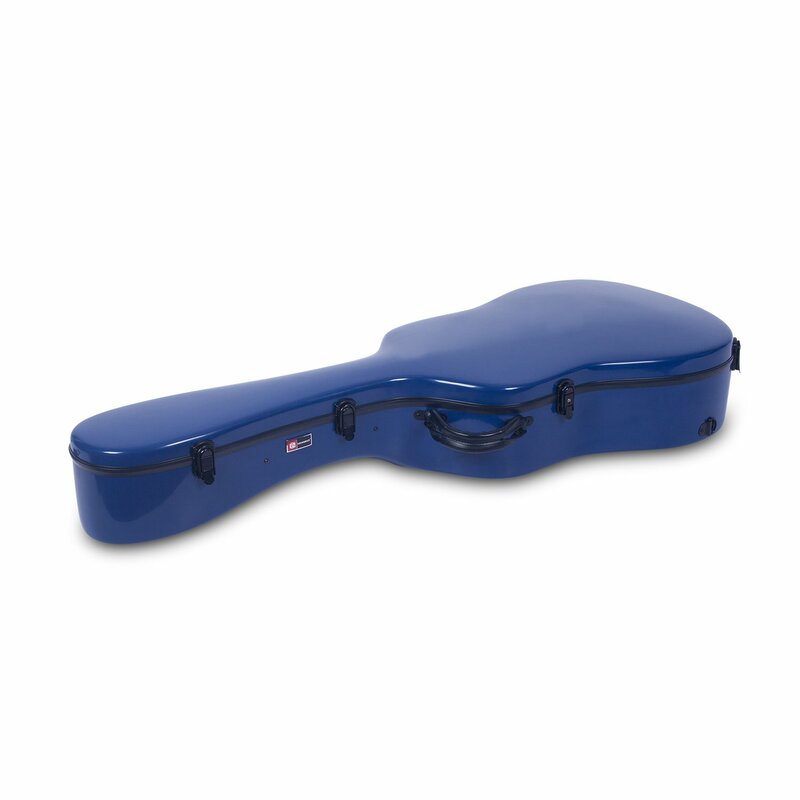 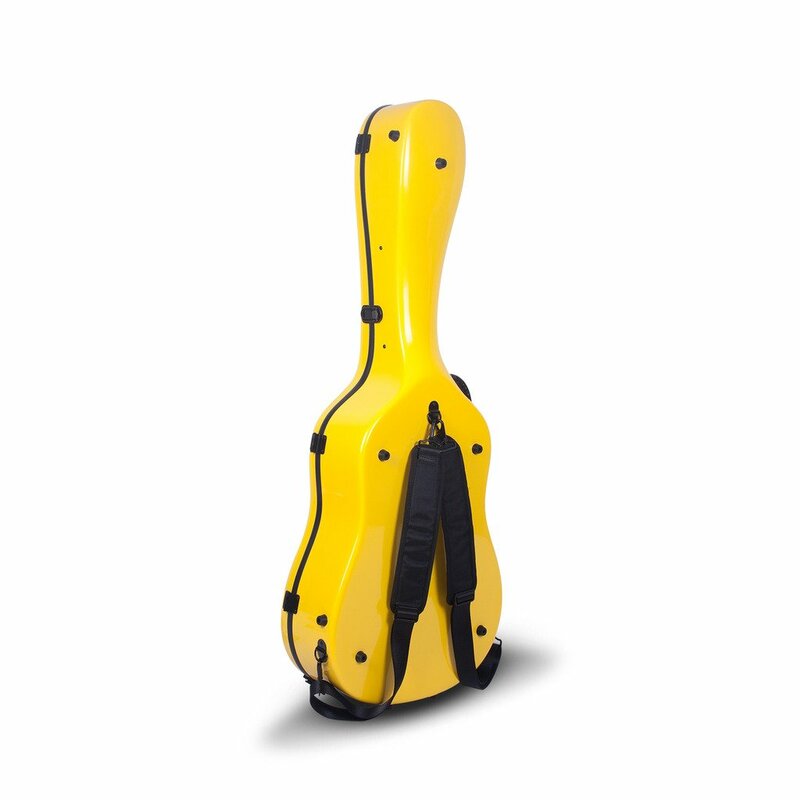 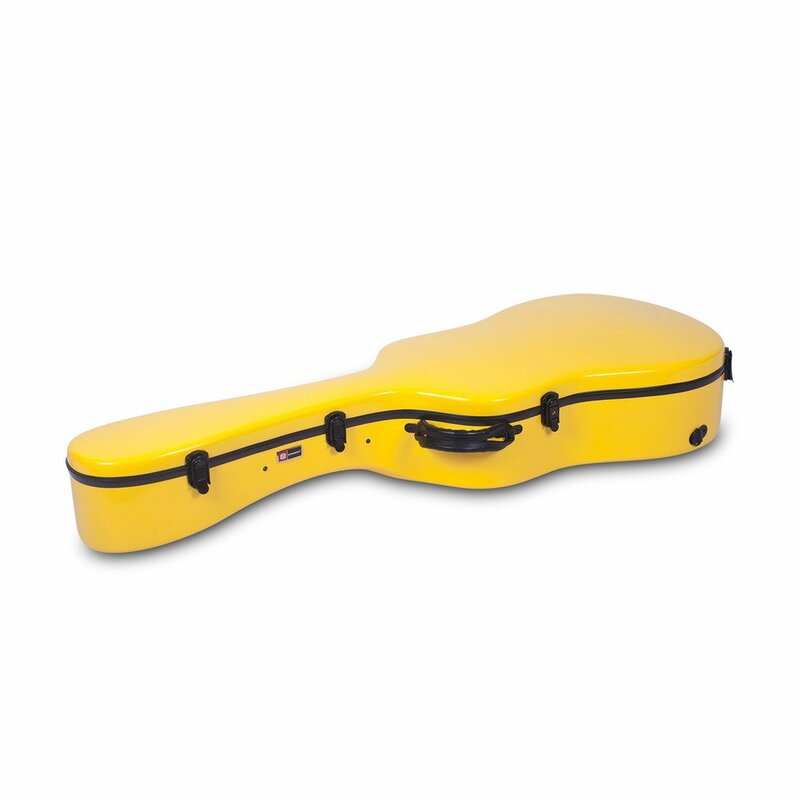 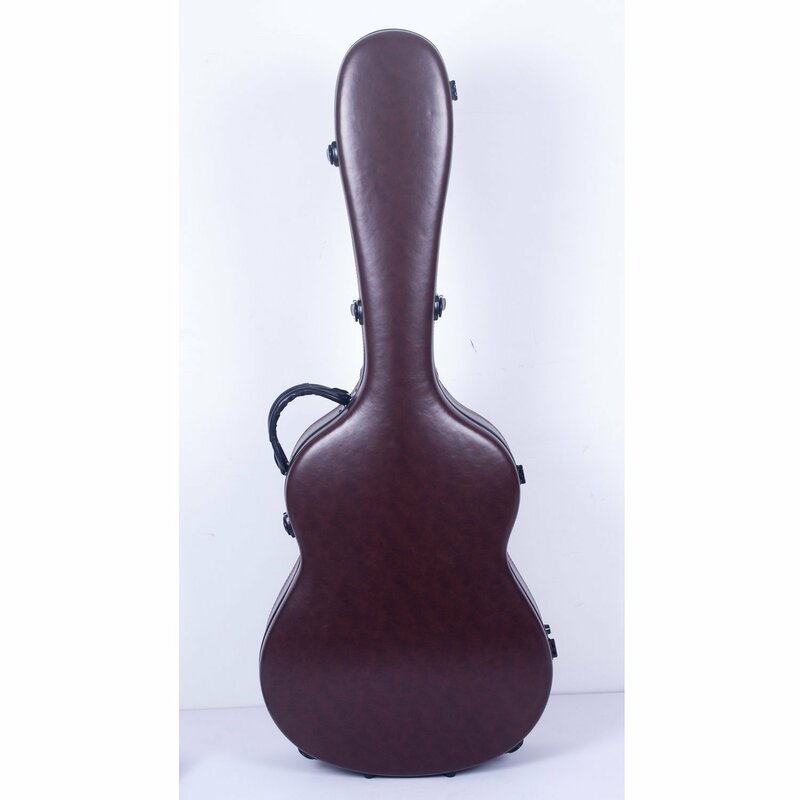 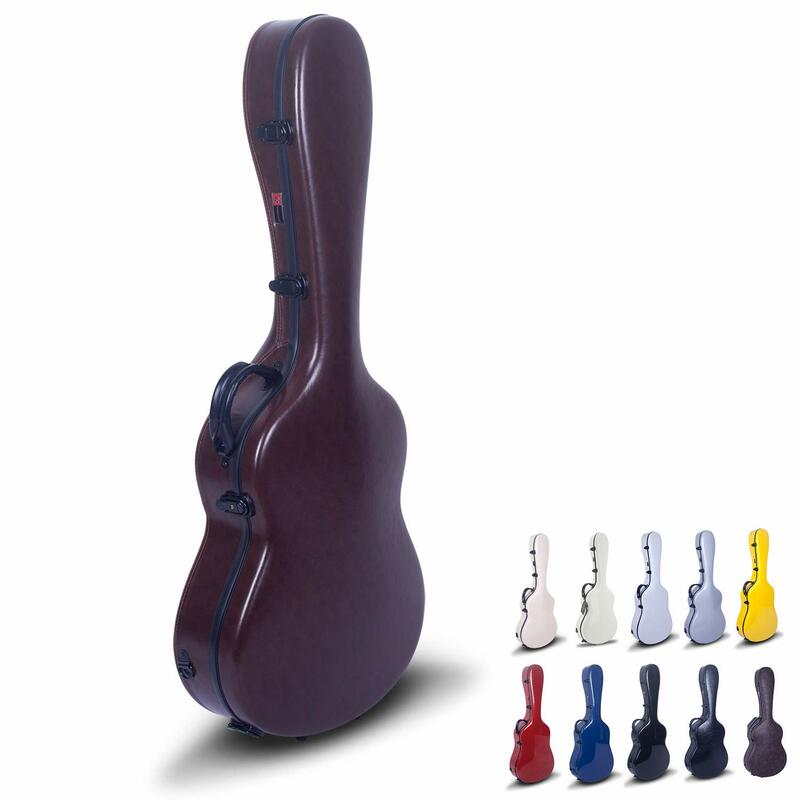 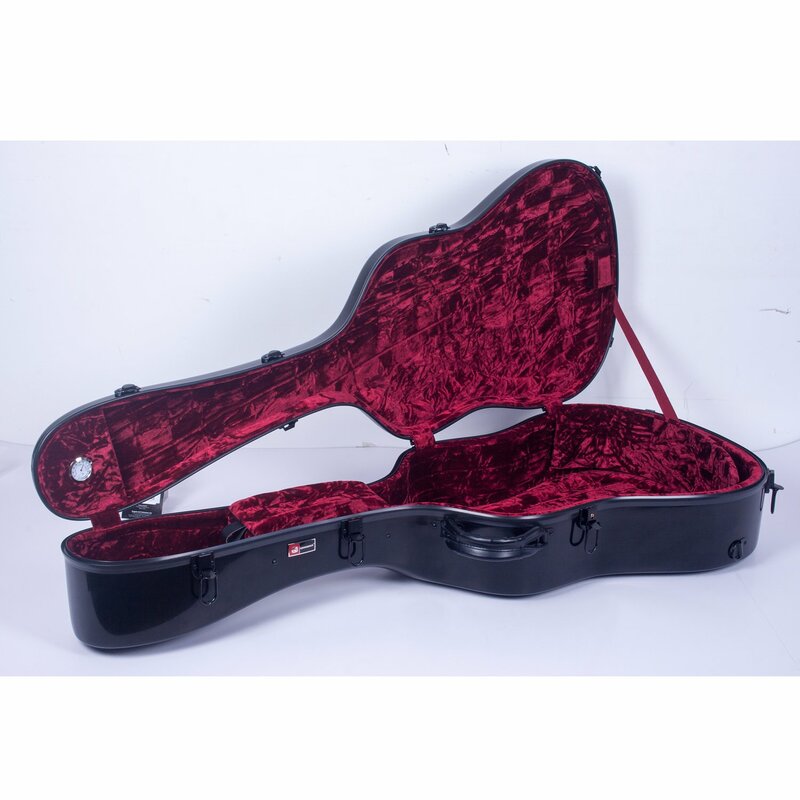 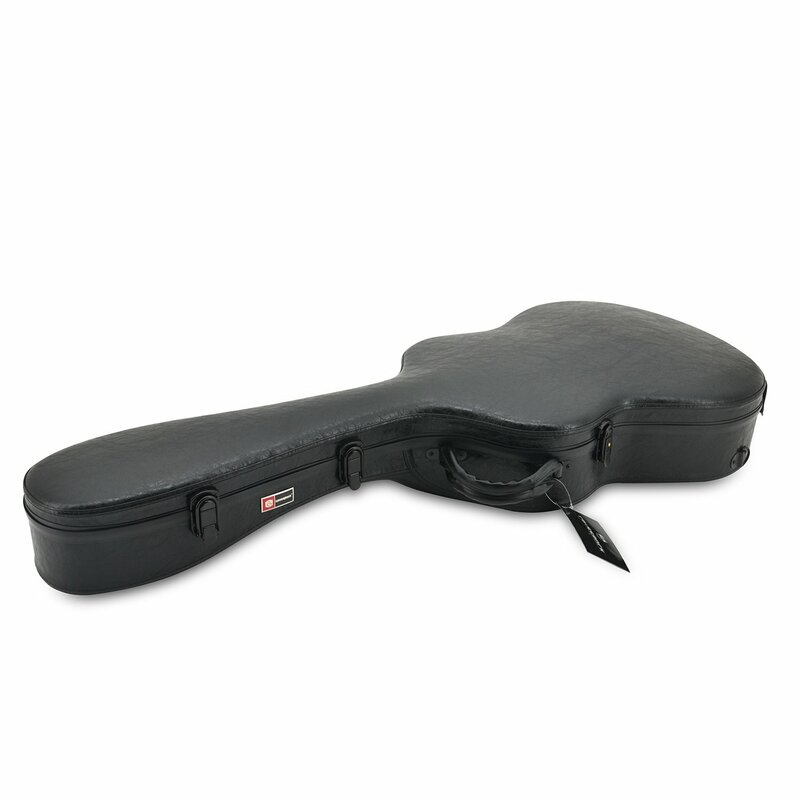 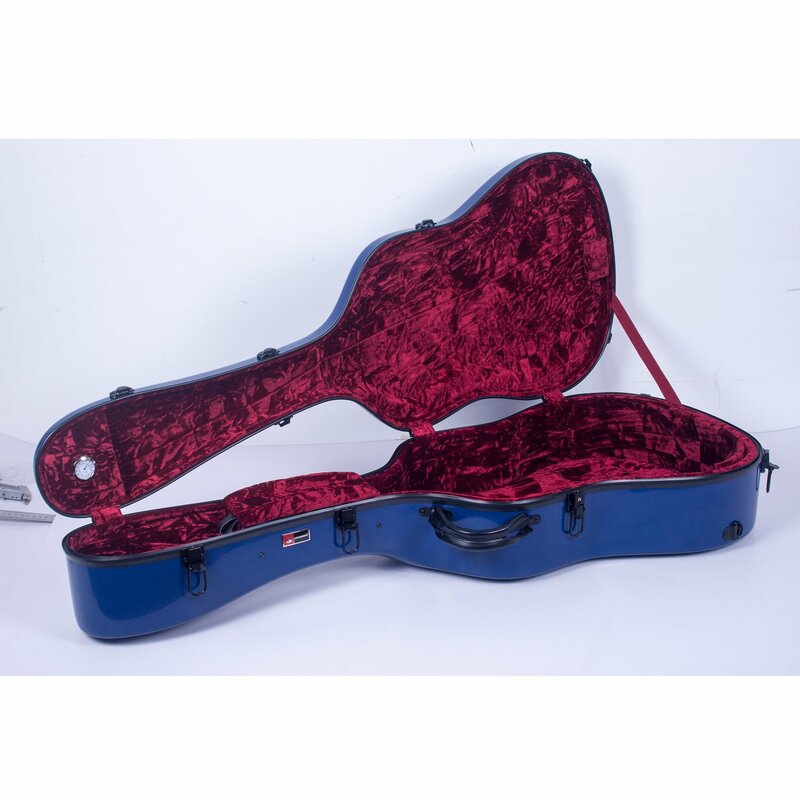 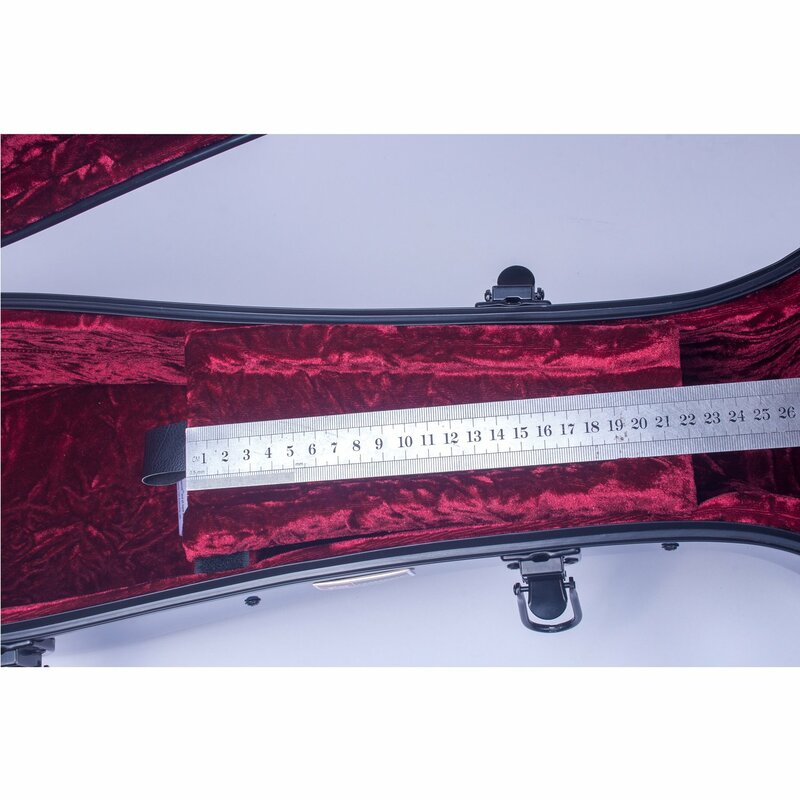 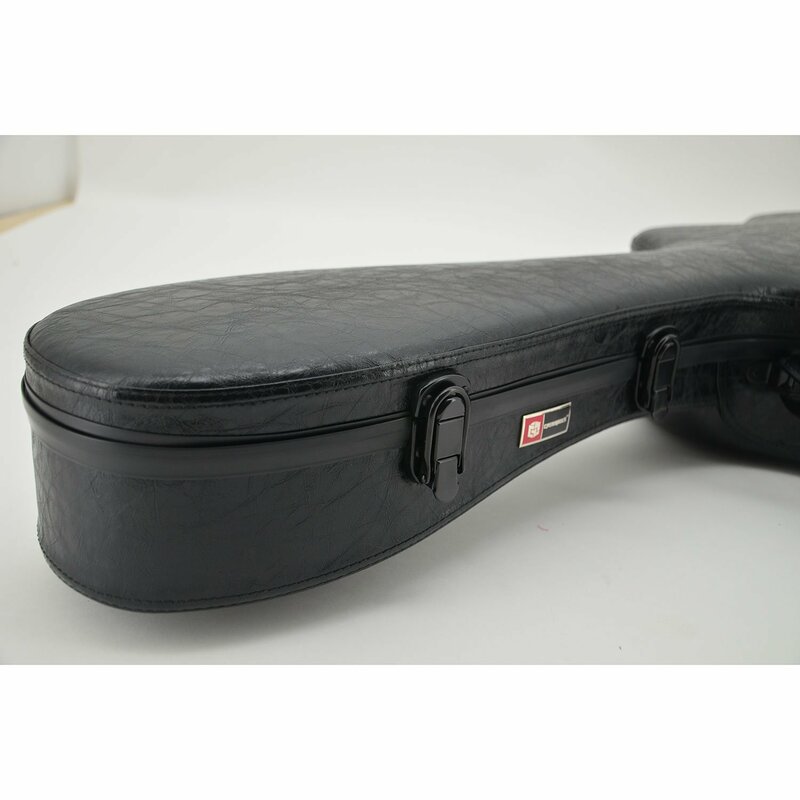 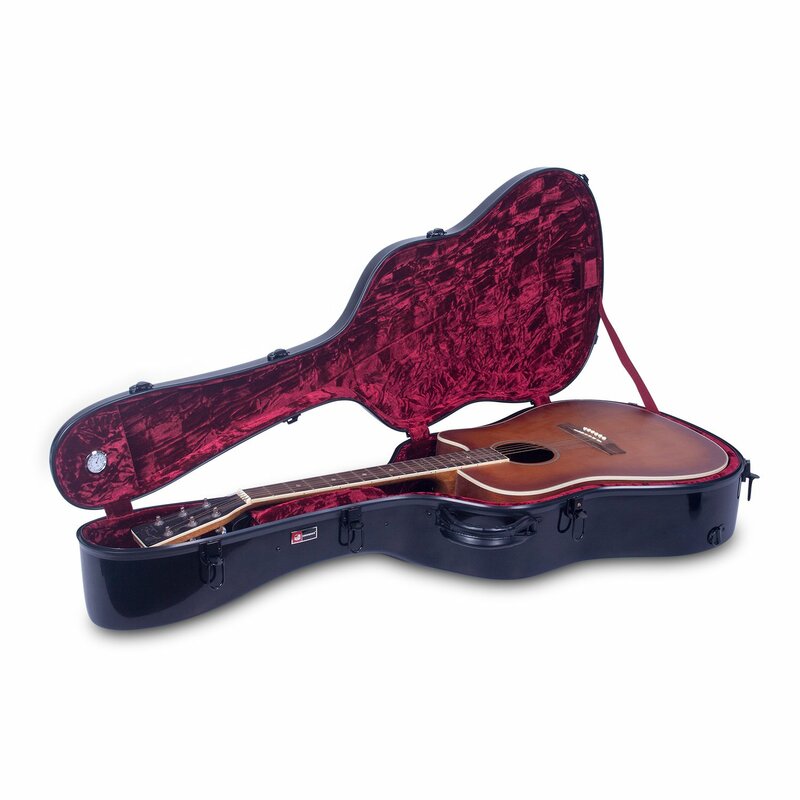 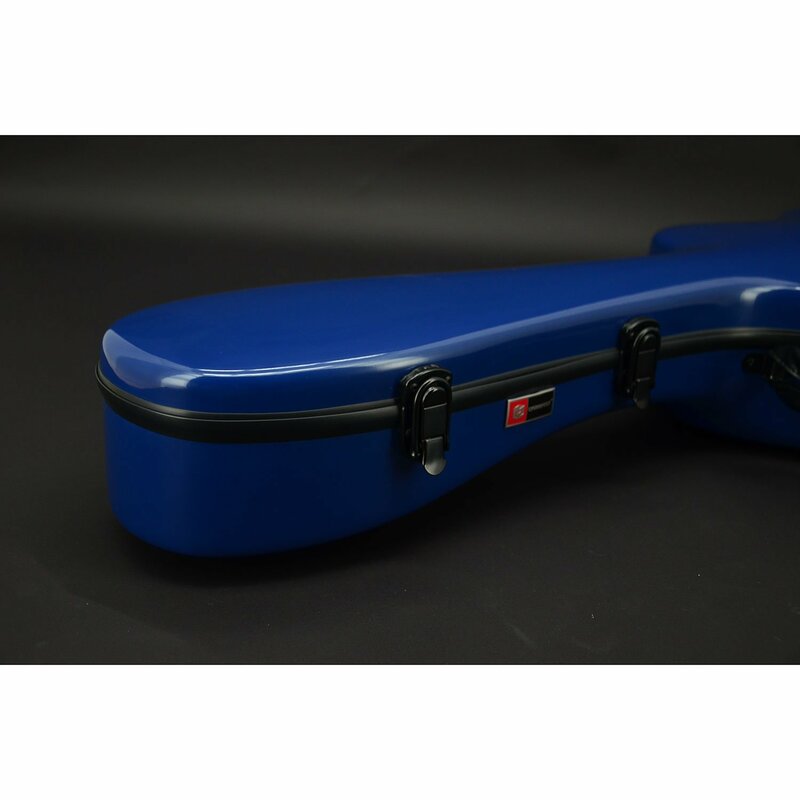 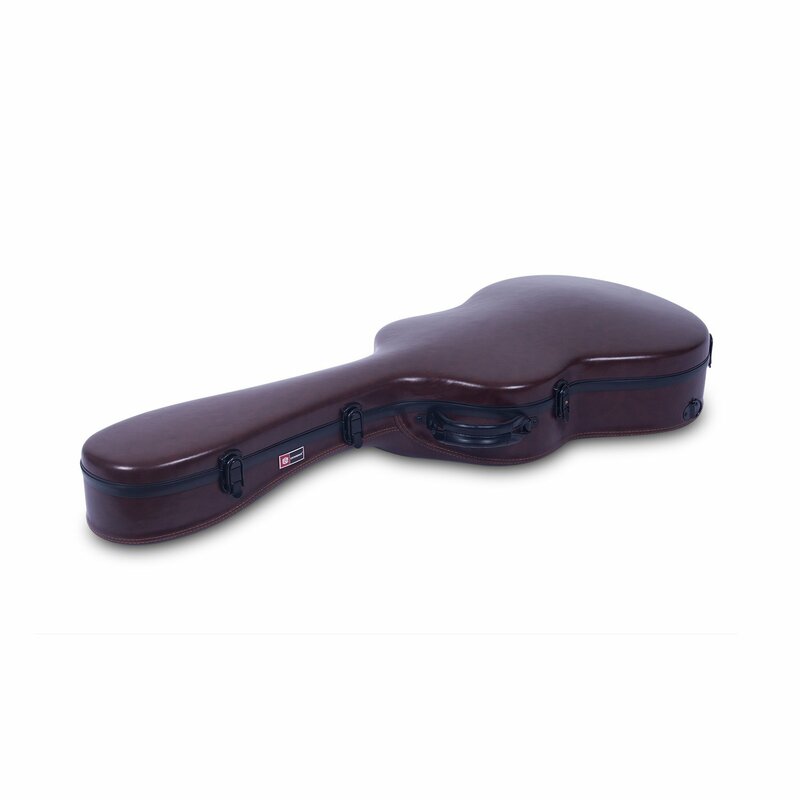 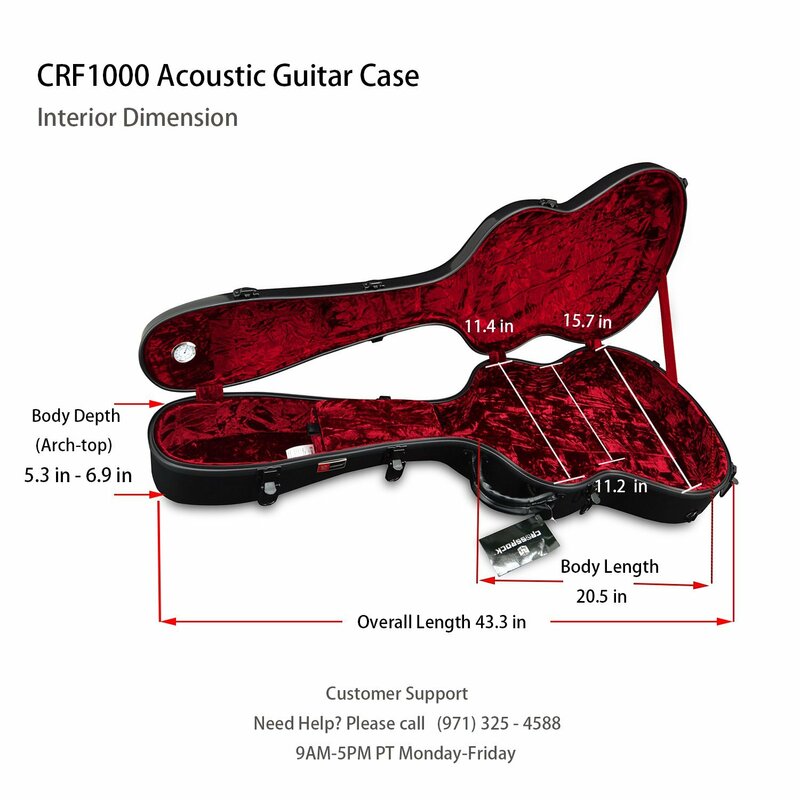 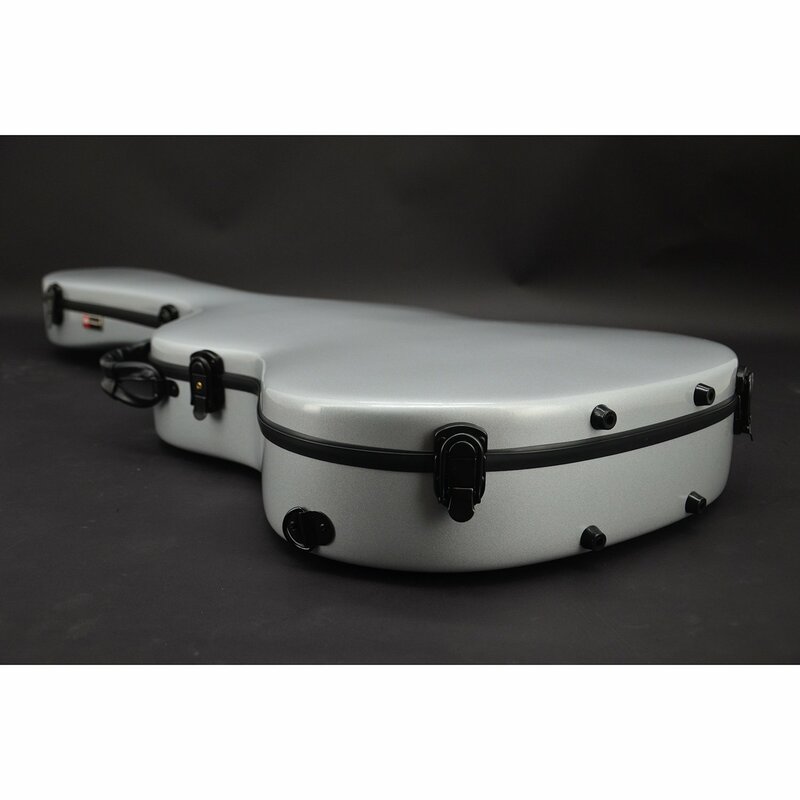 Inside dimension: Classical Guitar Case 4/4 Full Size Overall Length 101.50cm (39.97in); Upper Bout 29.00cm (11.42in); Lower Bout 38.00cm (14.96in); Waist 26.00cm (10.24in); Body Length 55.00cm（21.65in); Body Depth (Arch-top) 12cm-16.00cm (4.7in-6.3in). 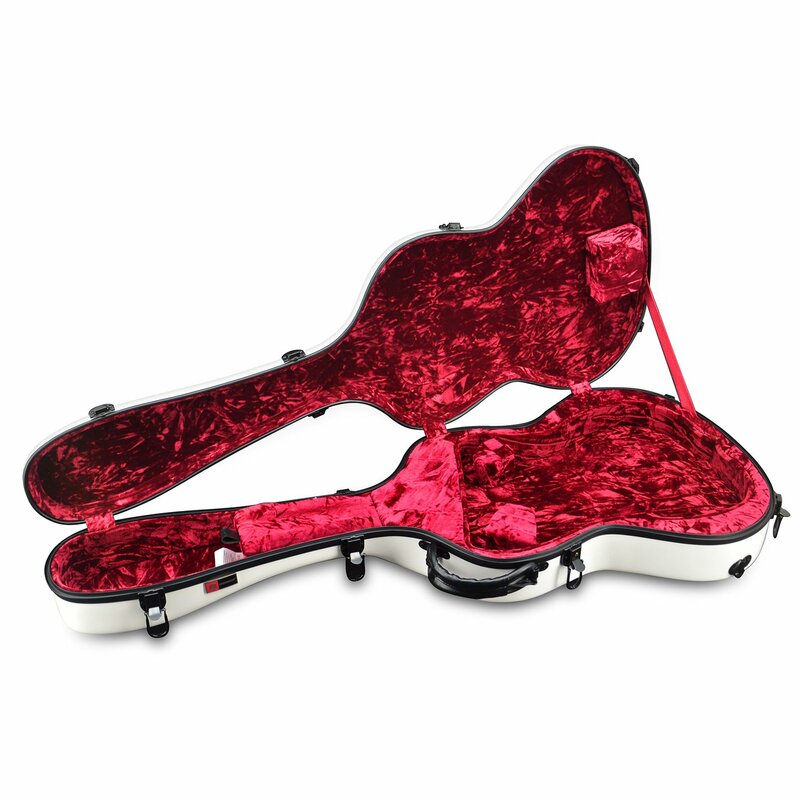 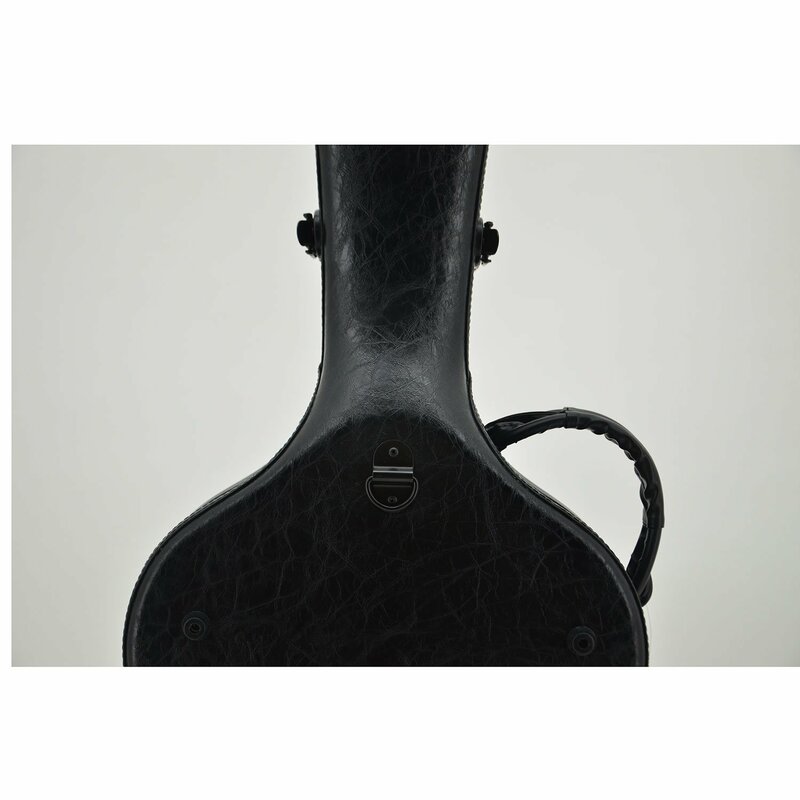 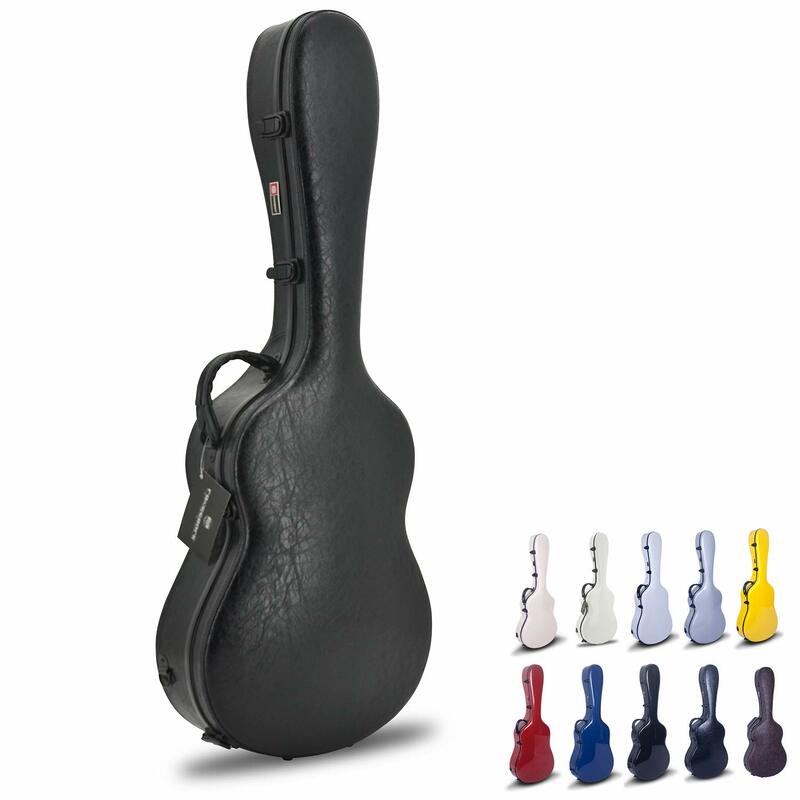 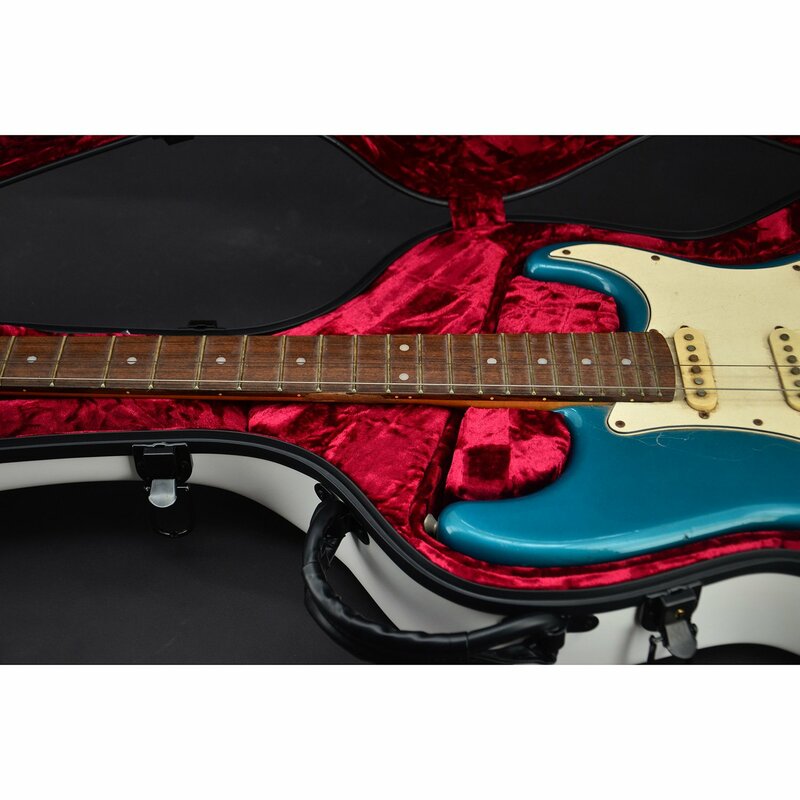 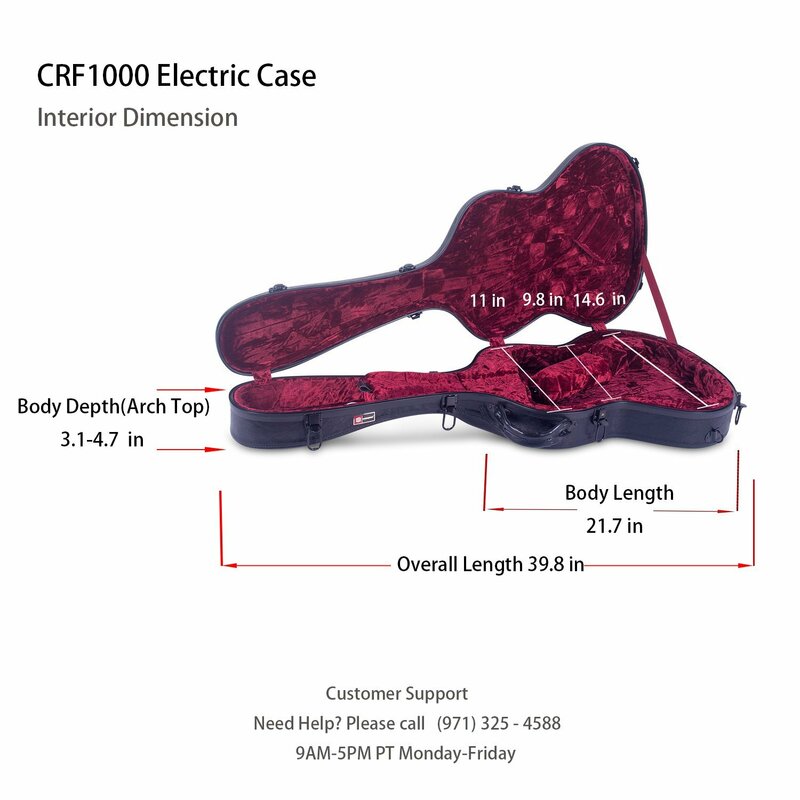 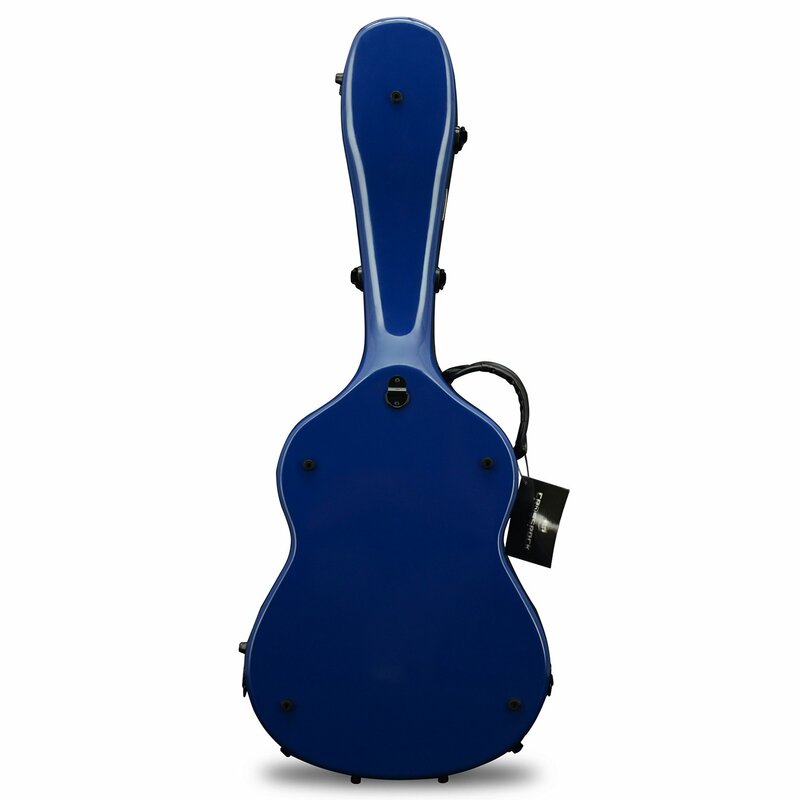 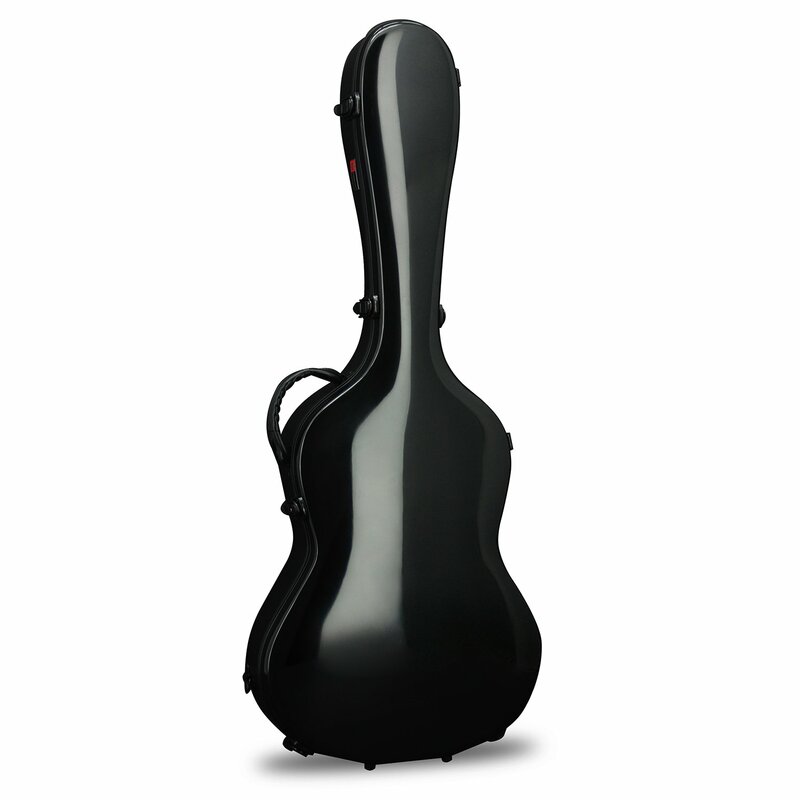 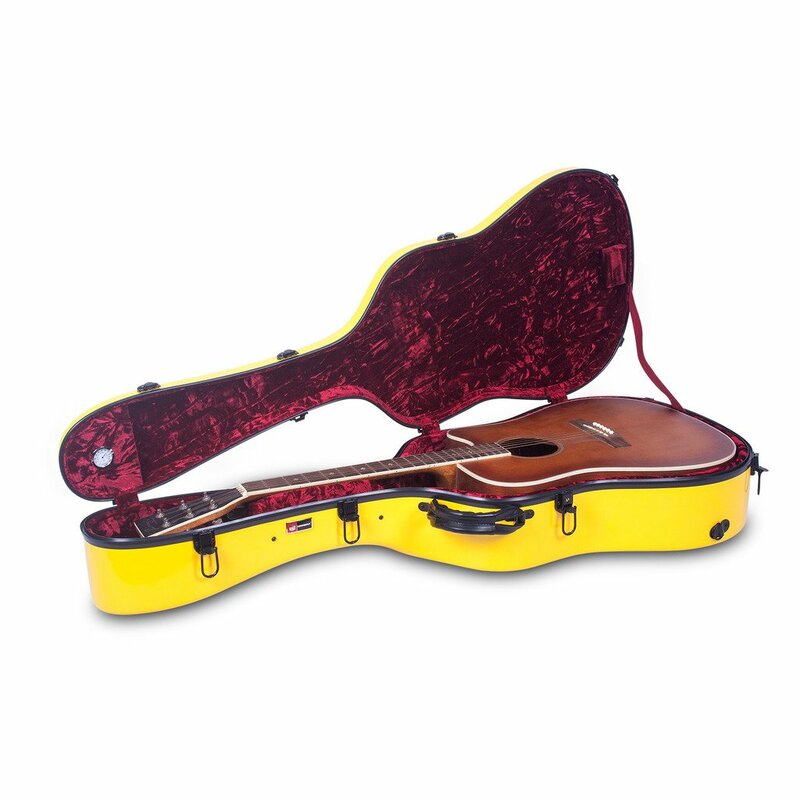 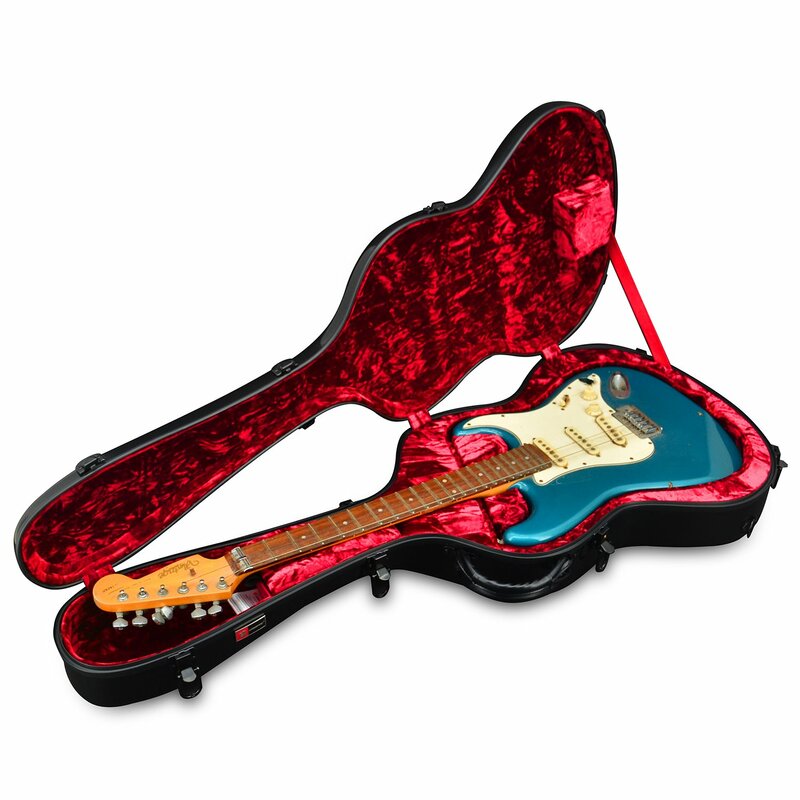 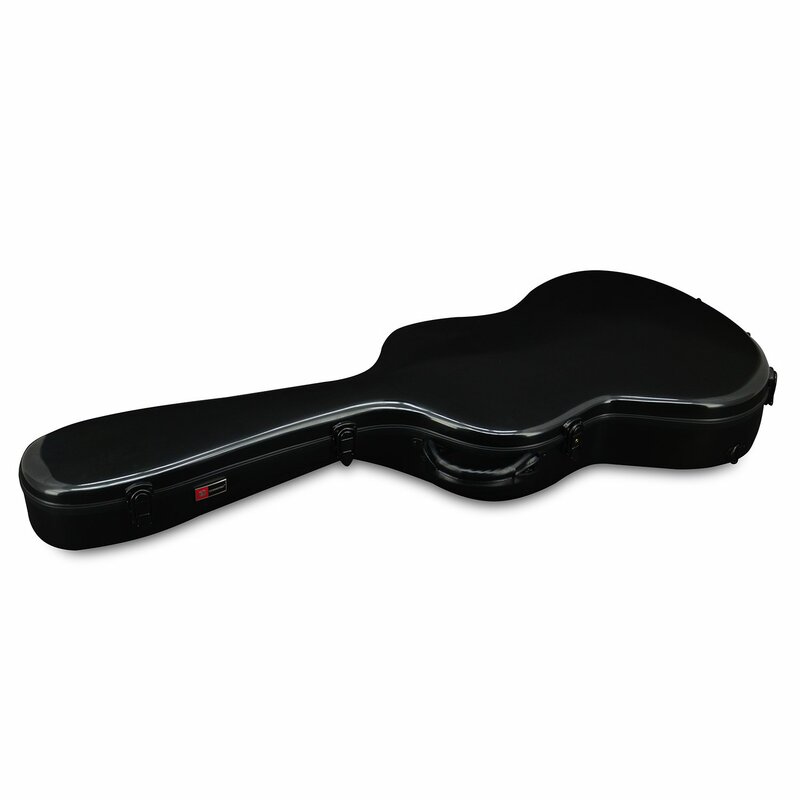 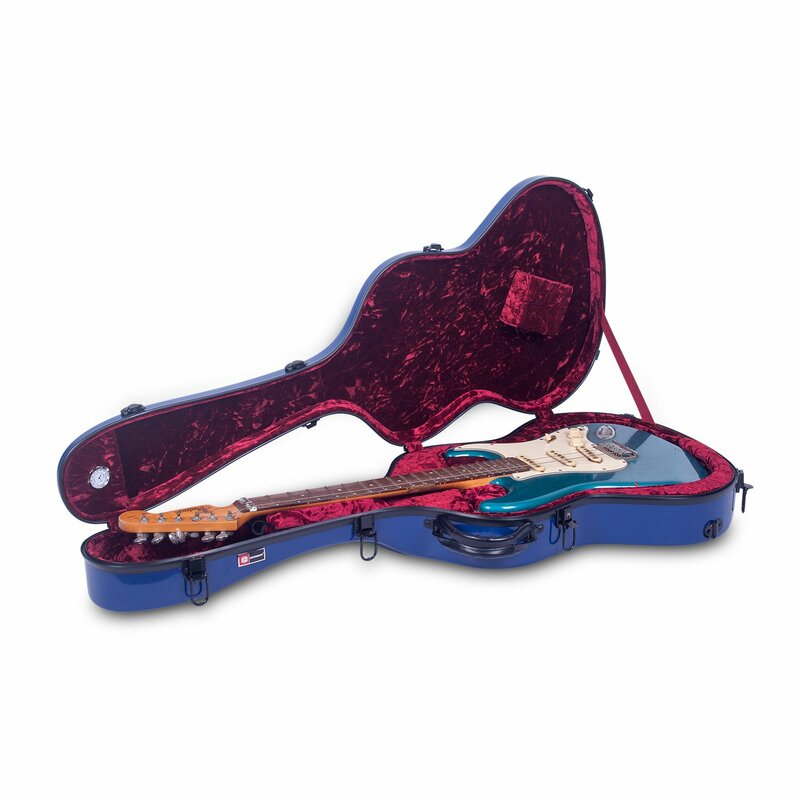 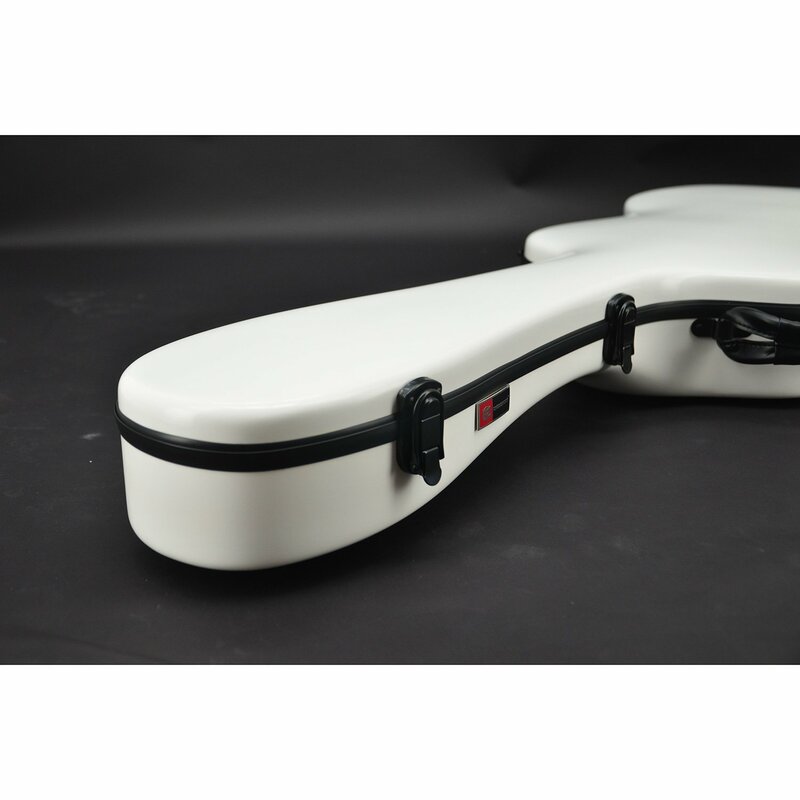 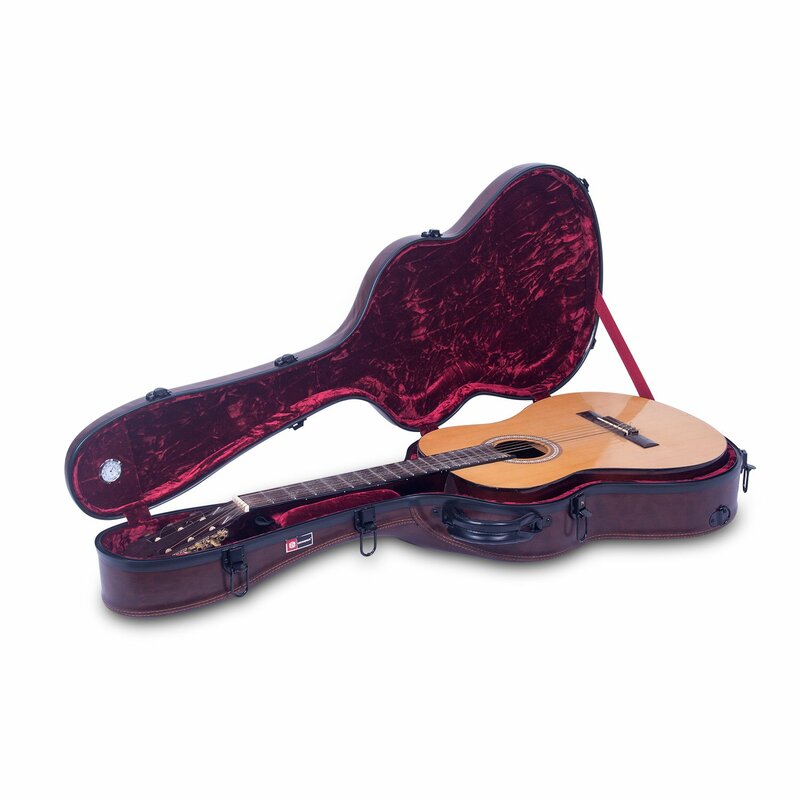 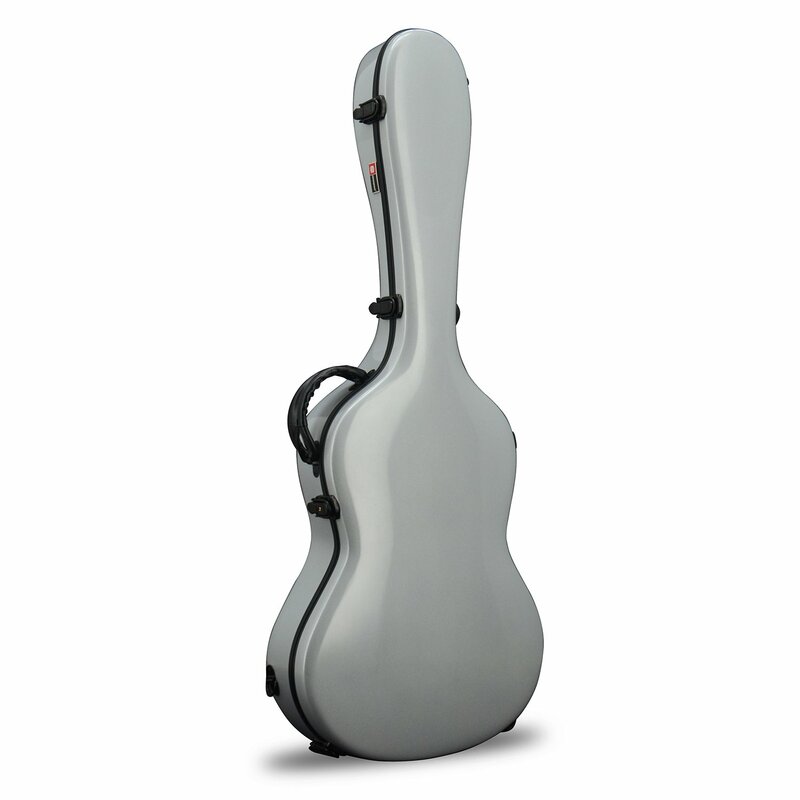 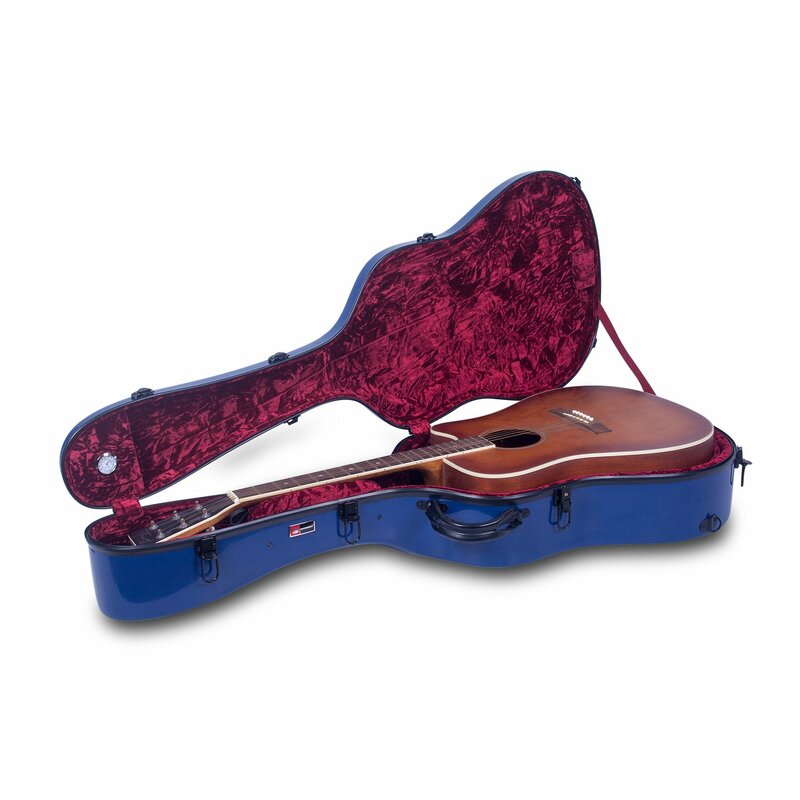 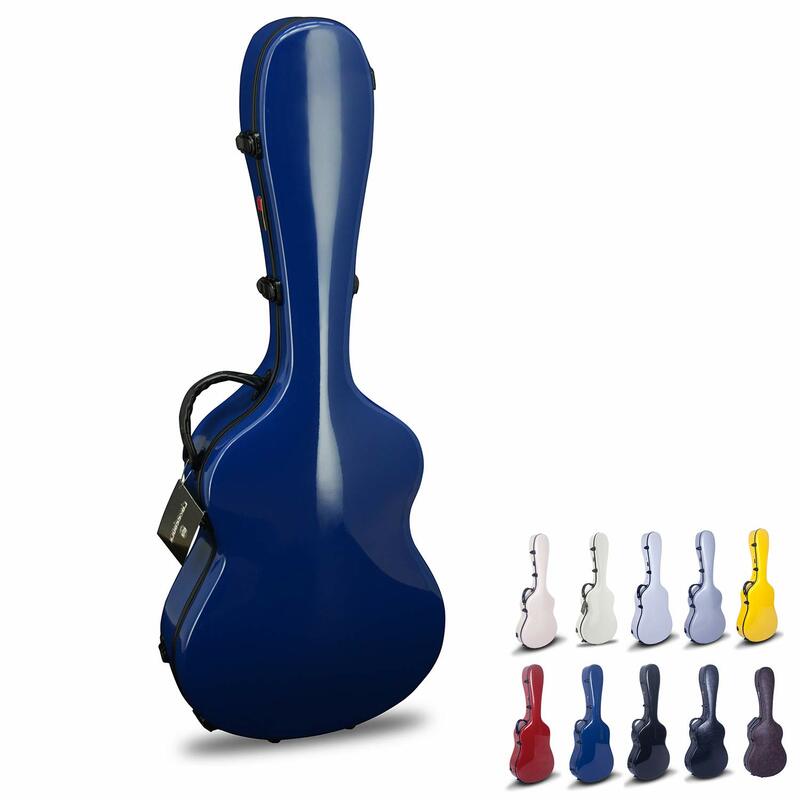 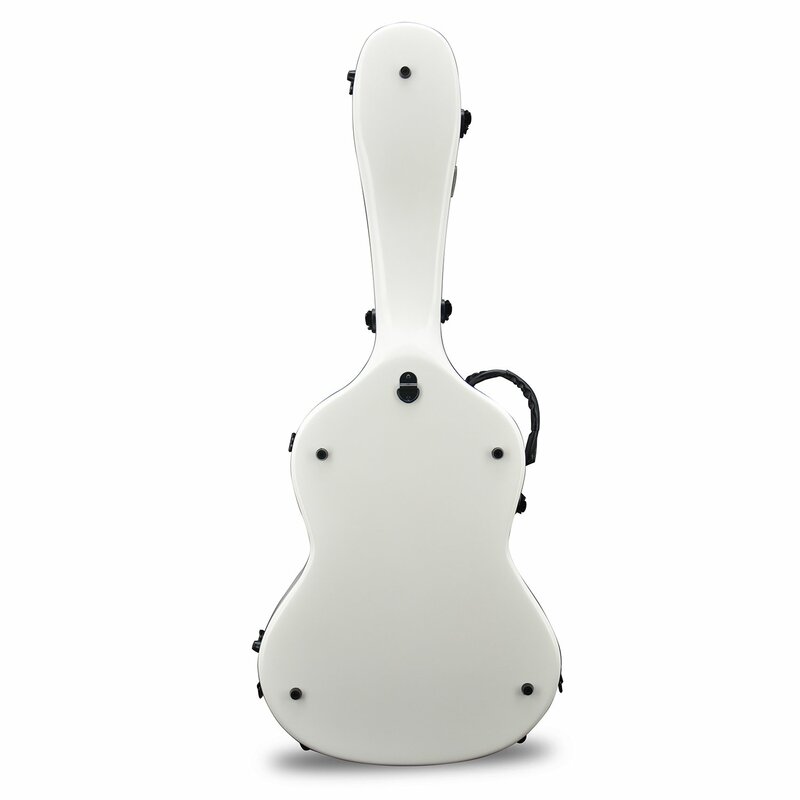 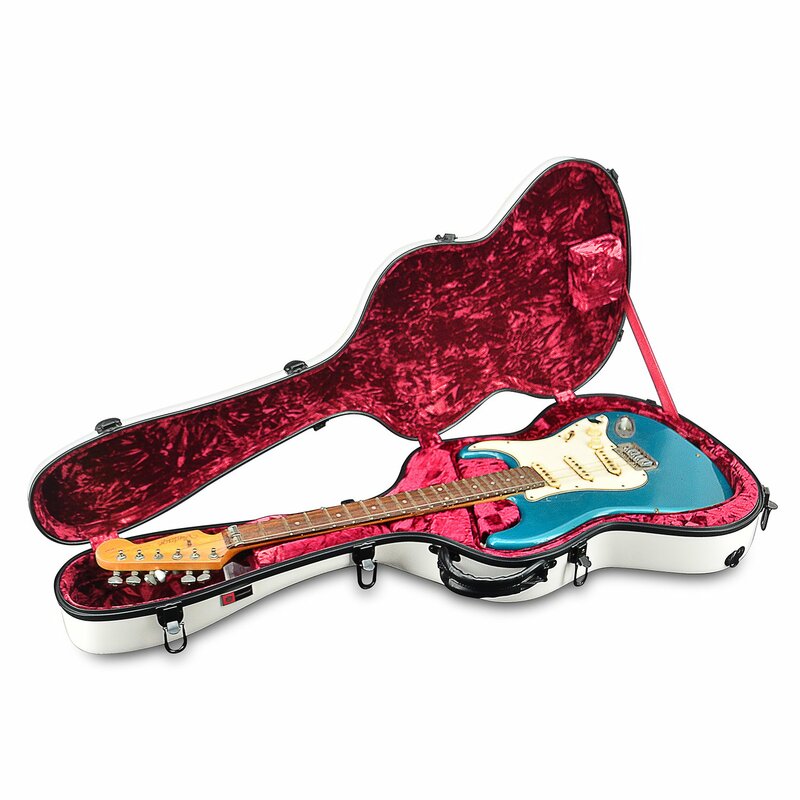 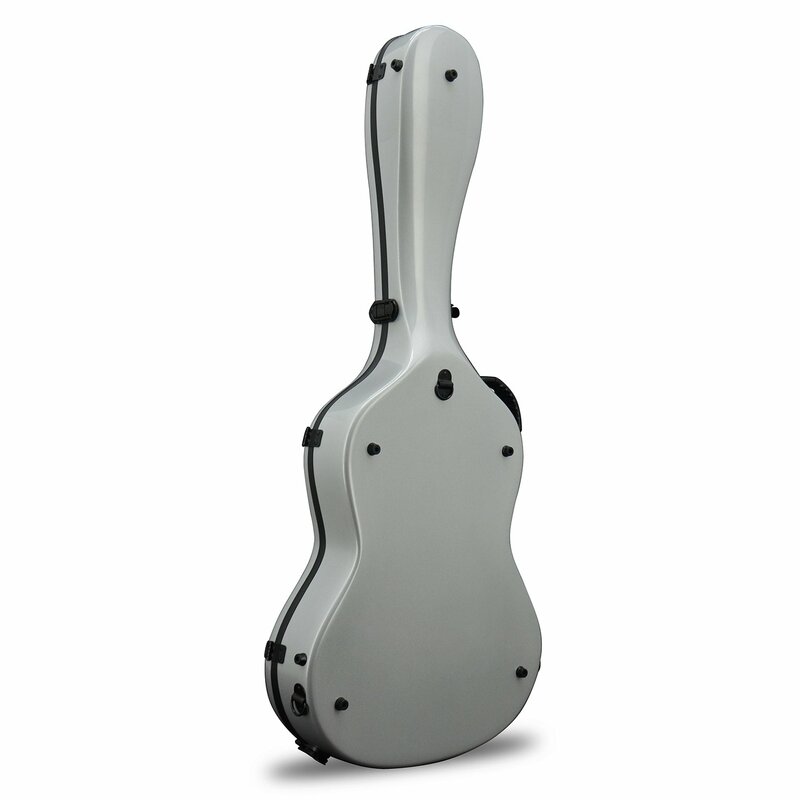 Package Contents : Crossrock fiberglass classic guitar hard-shell case x1; Backpack straps; Detachable bottom cushion. 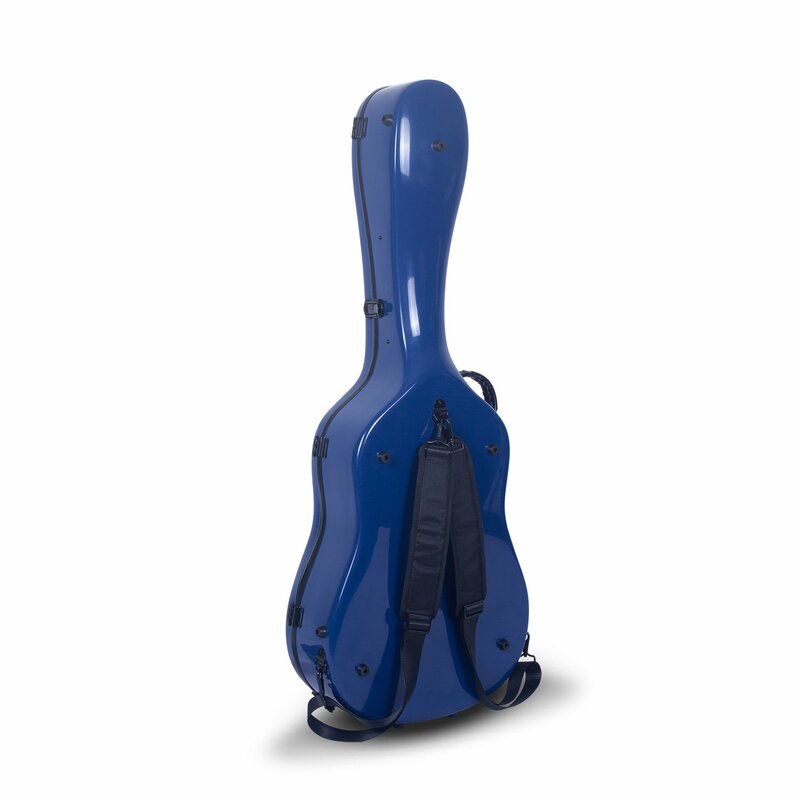 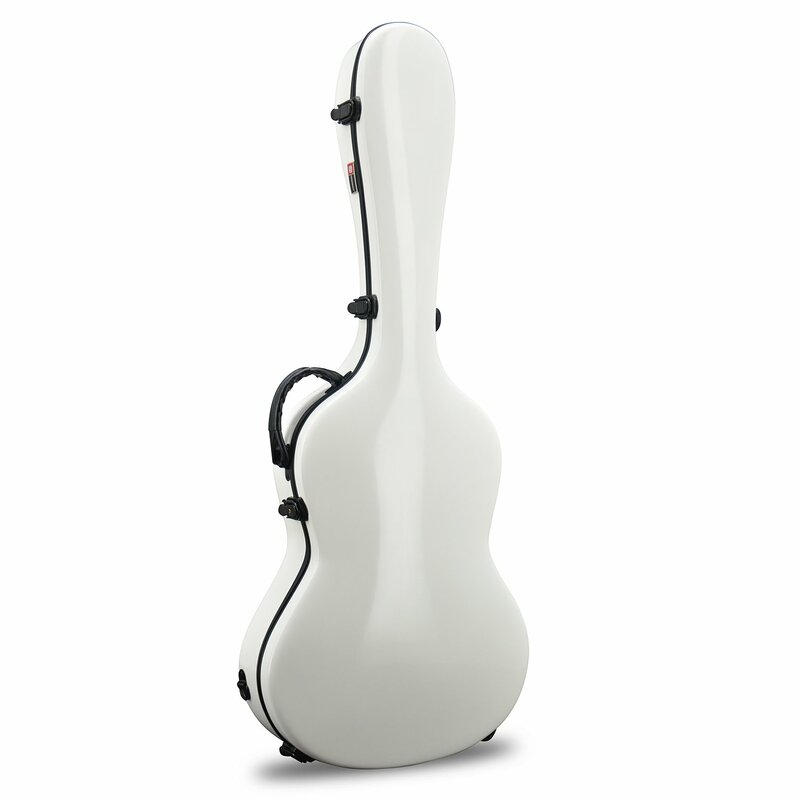 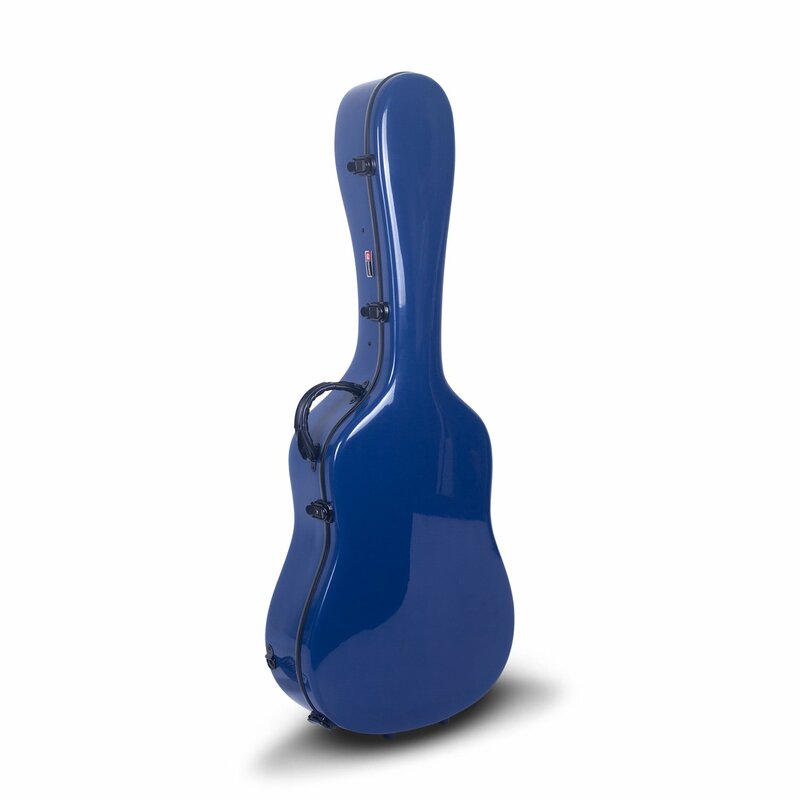 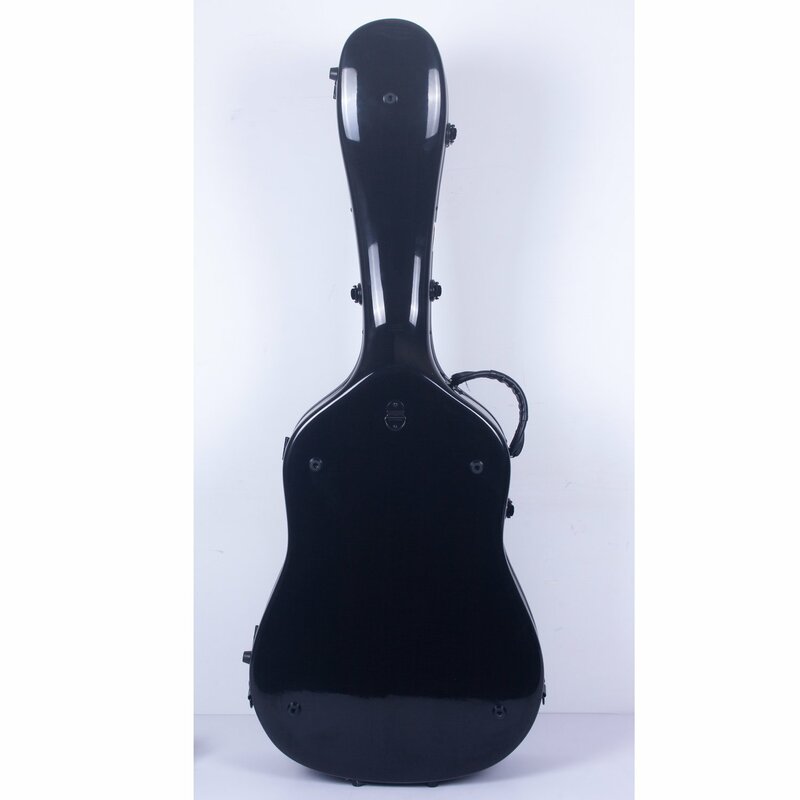 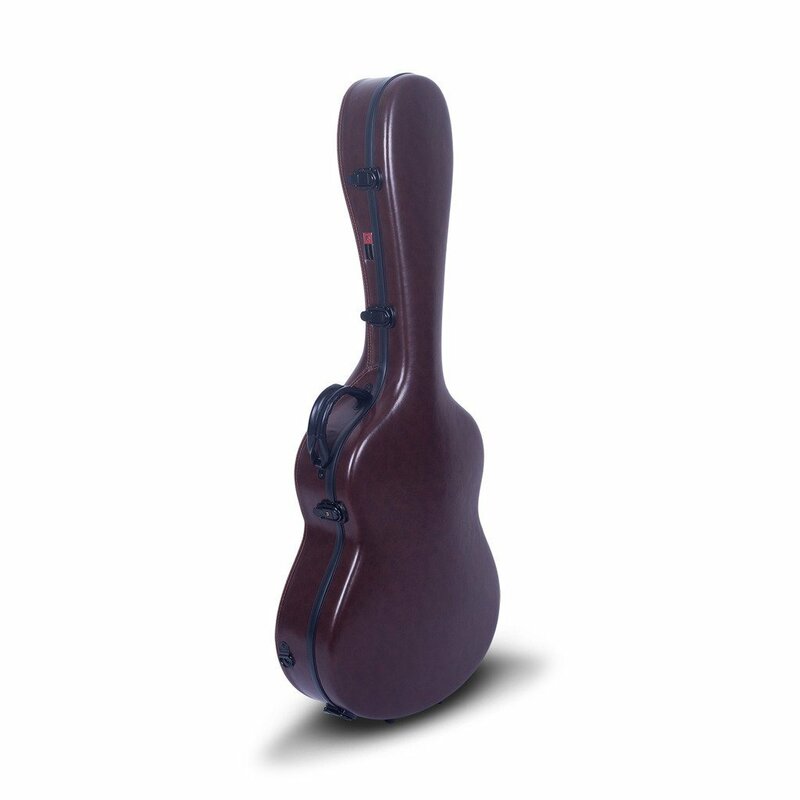 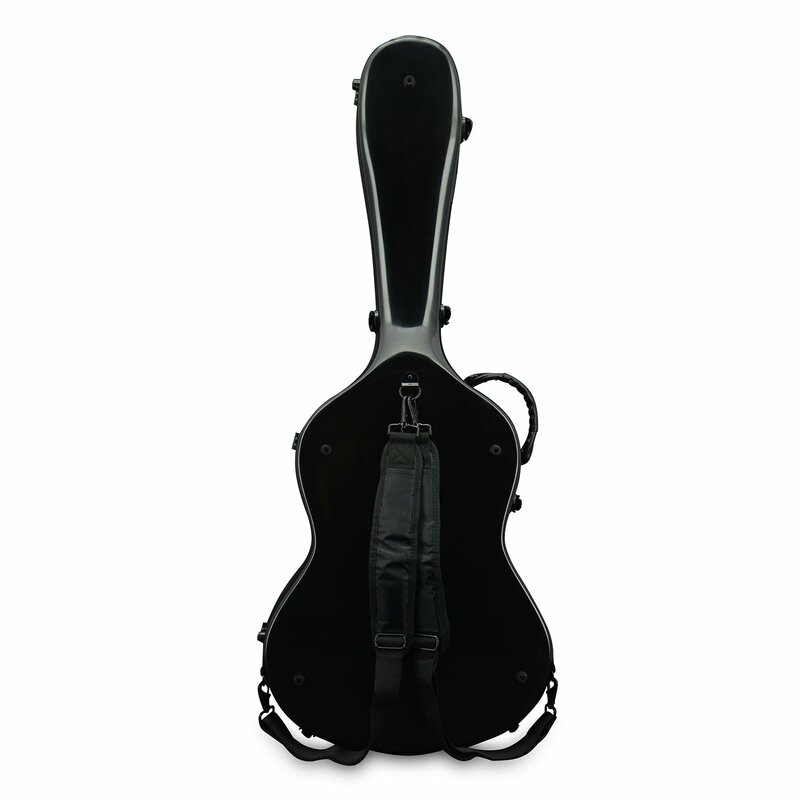 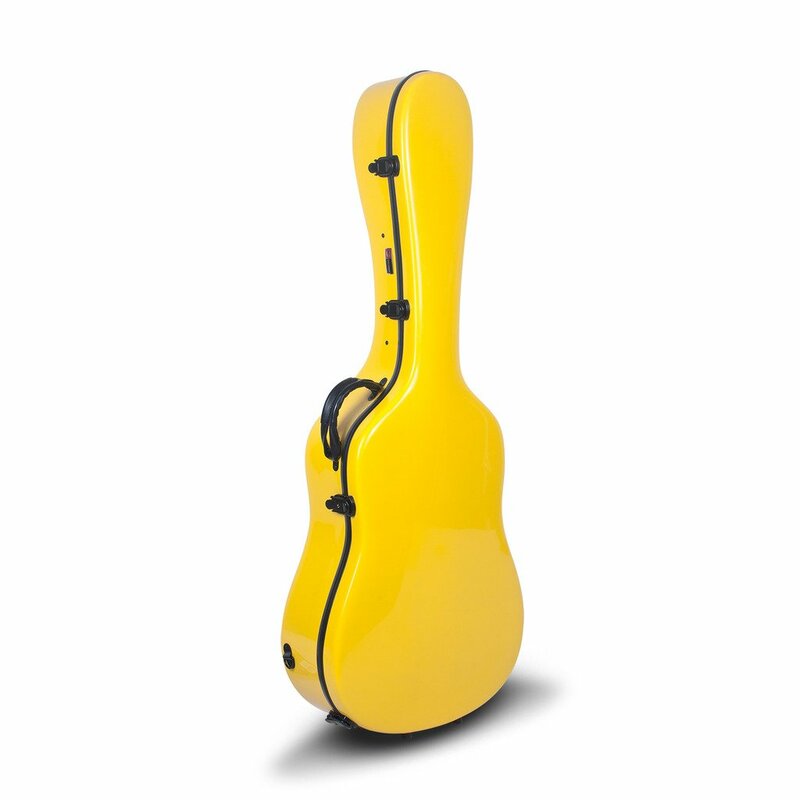 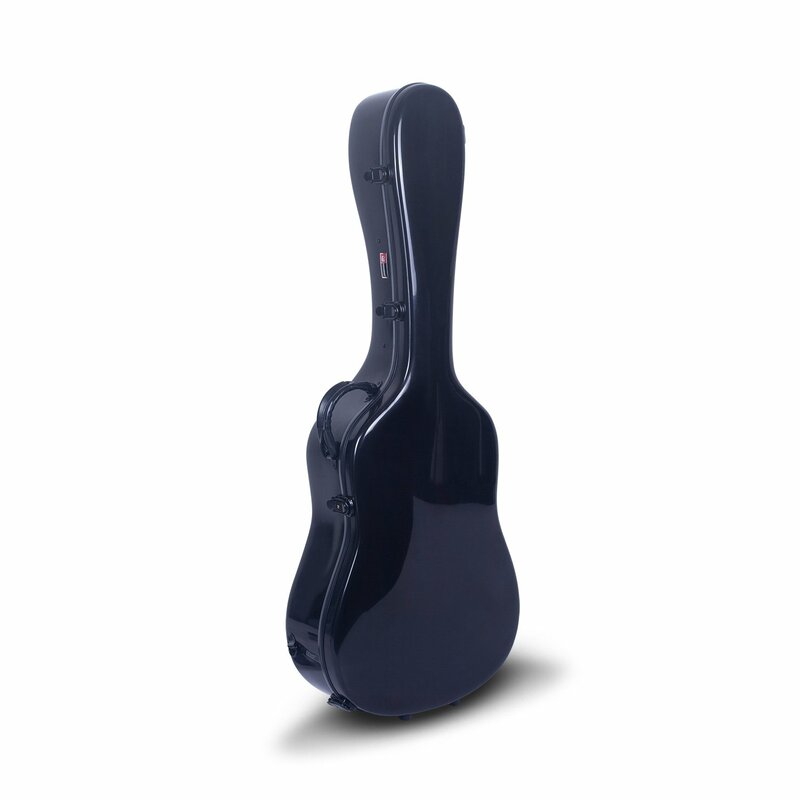 Item weight 3.4kg (7.5lb); Designed for 4/4 full size classical guitar; One of the latch can be locked. 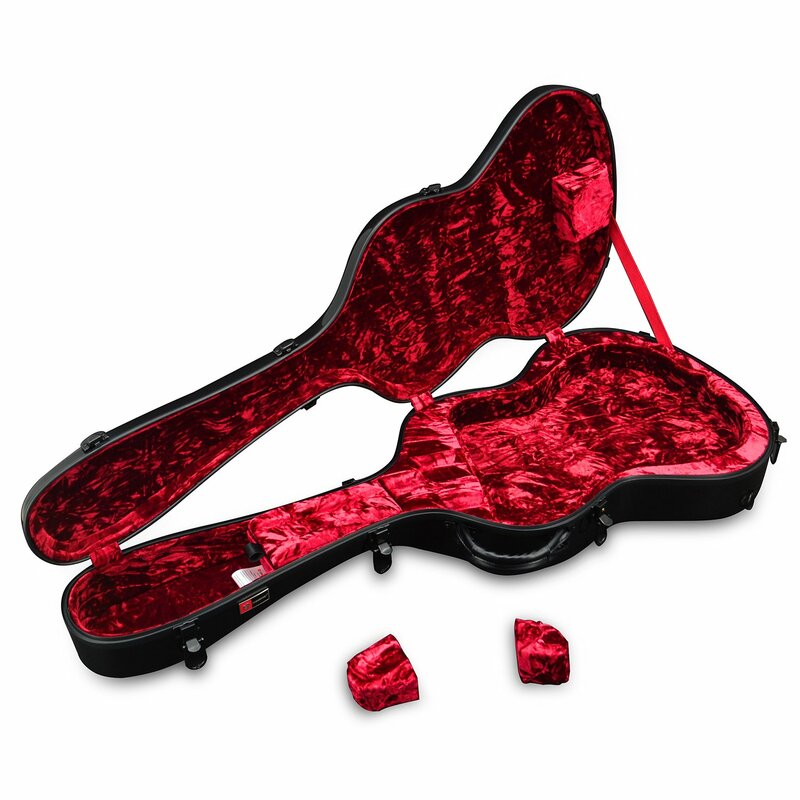 Key is storaged in the accessory compartment. 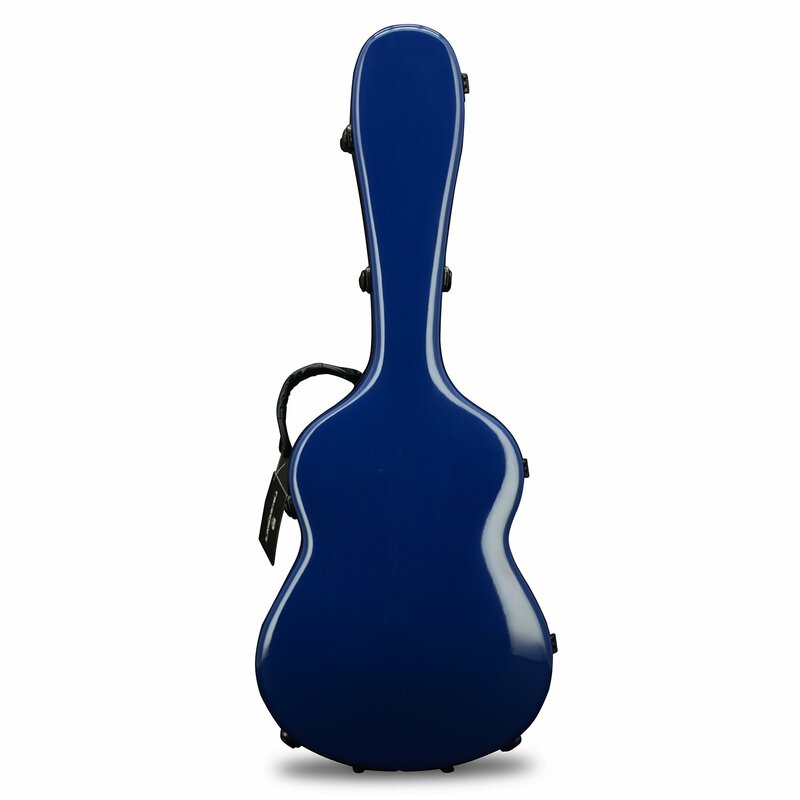 Decent, solid case, very similar to other highly desirable, lightweight backpack style cases but much more affordable. 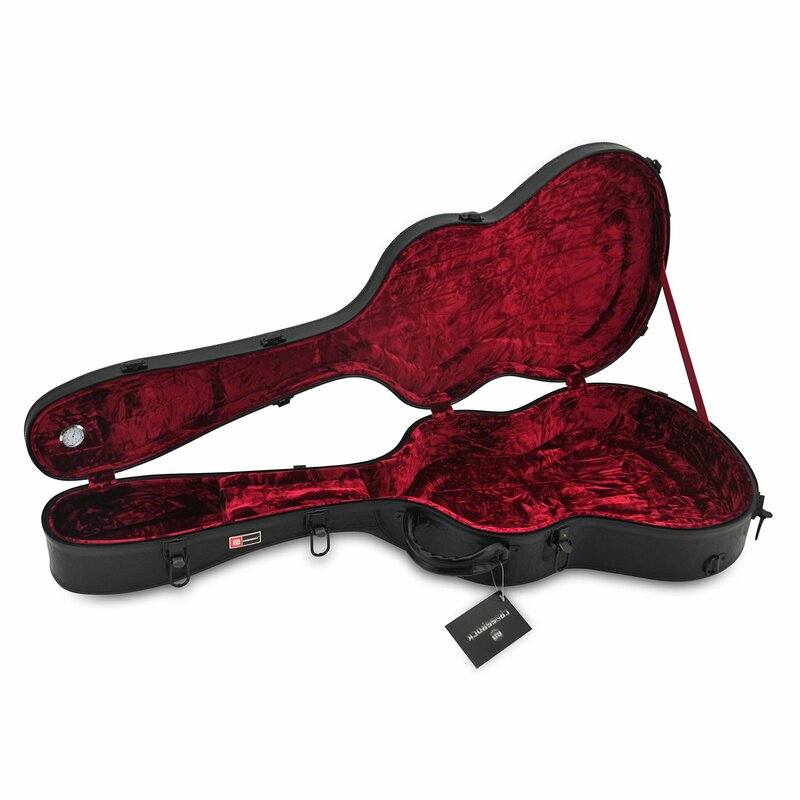 The latches and hinges reflect the price, (hence the 4 stars) but they still function well IMO. 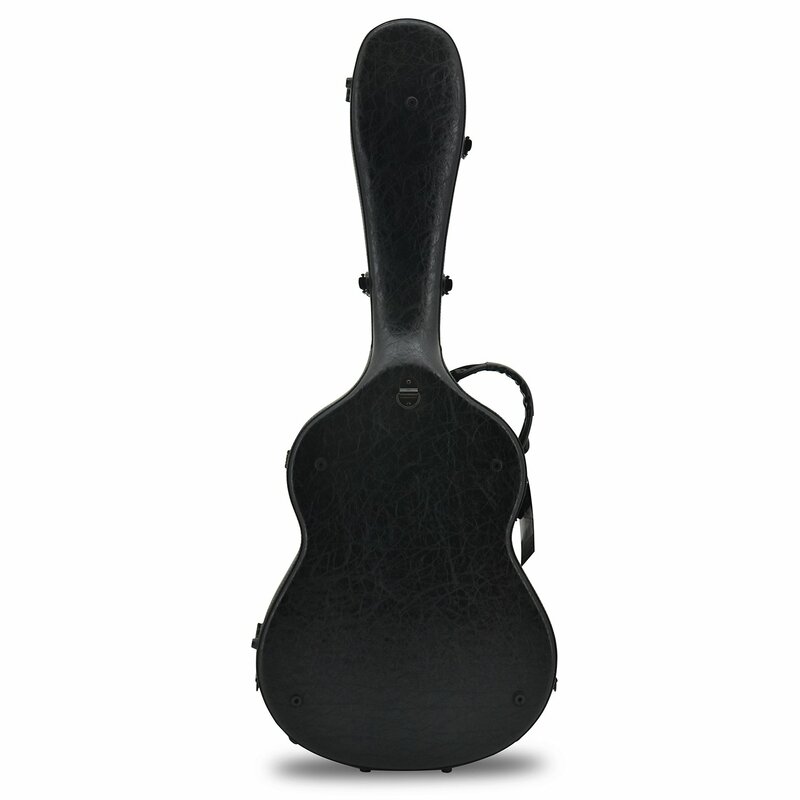 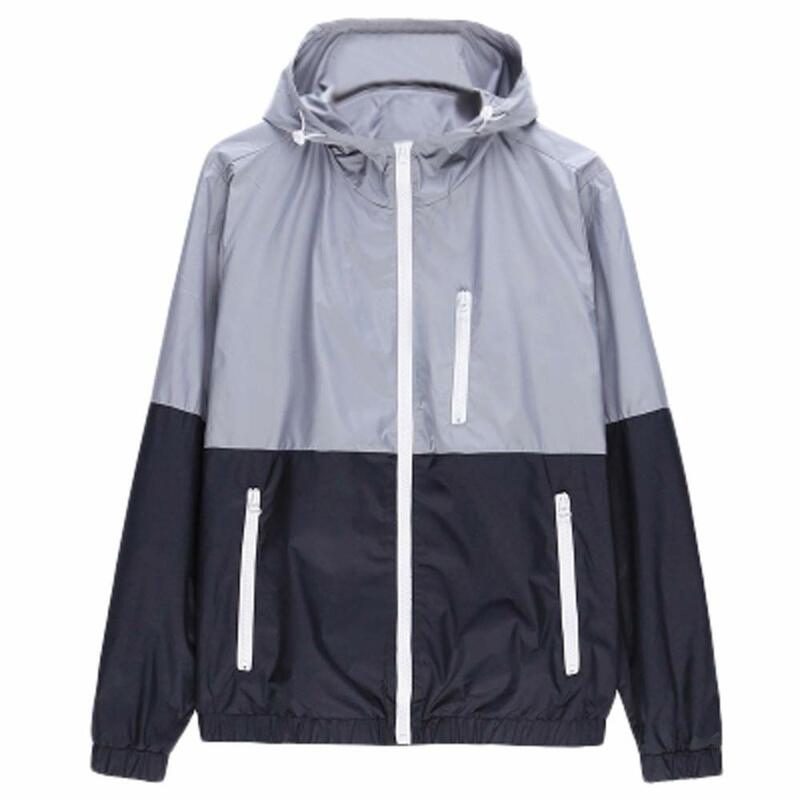 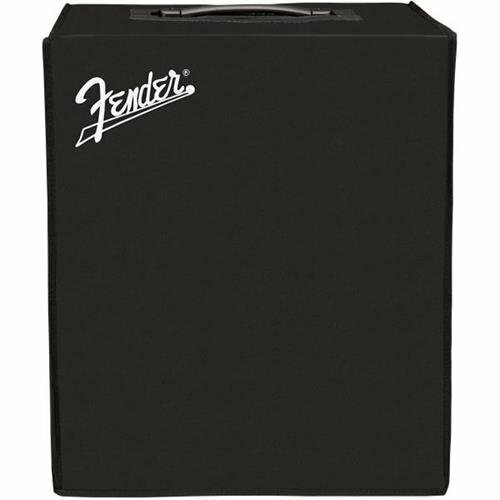 The black finish looks like it will scuff, if this is an issue for you go for a lighter colour. 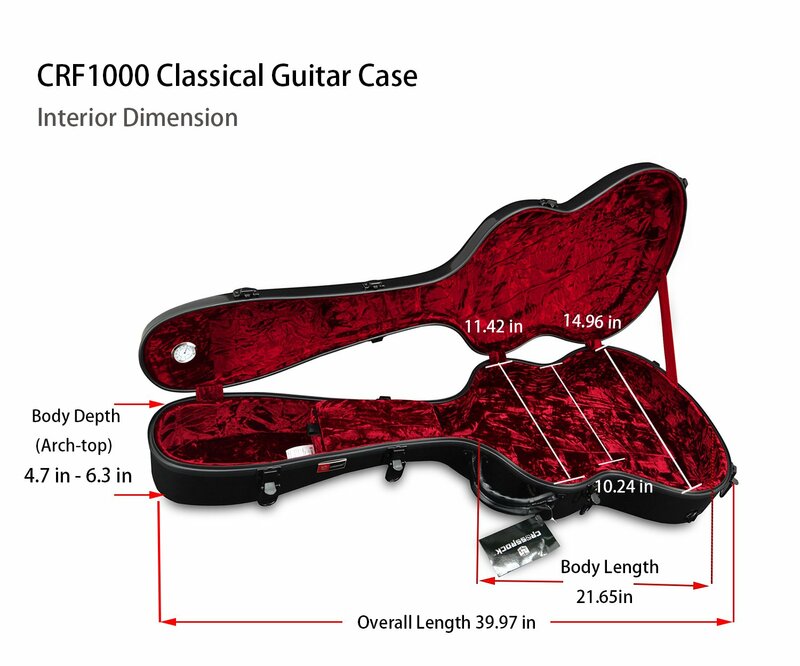 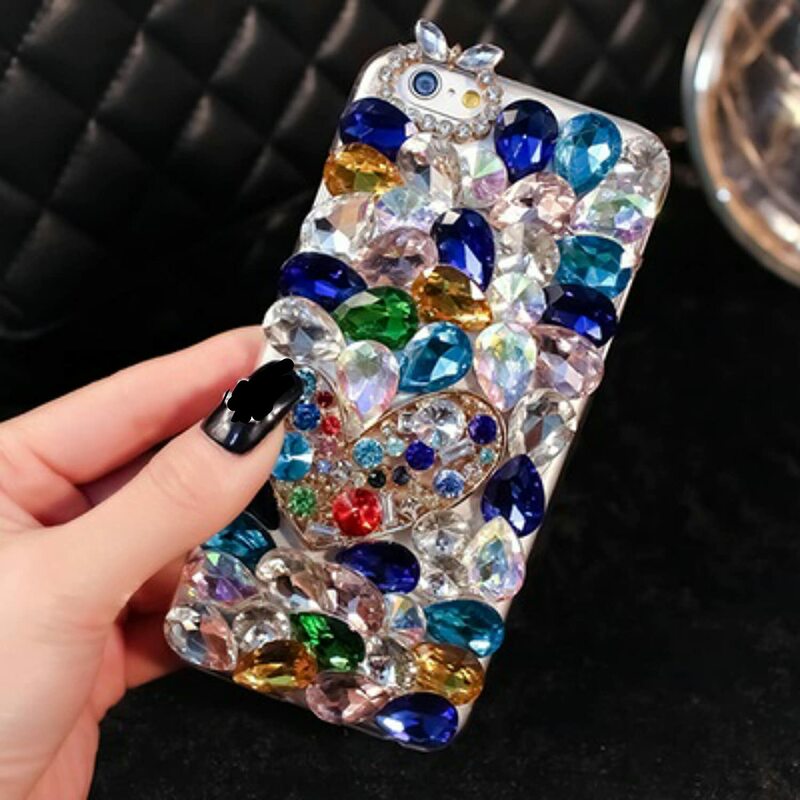 I would recommend this case to friends.